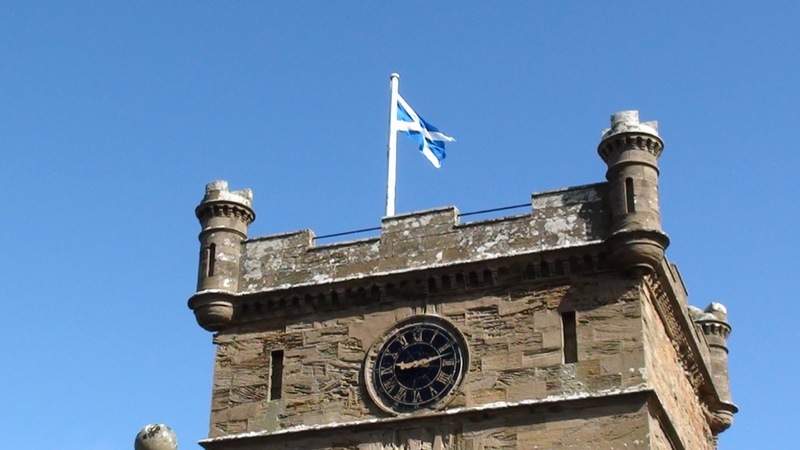 Once you arrive in St. Andrews, you will find it is a destination in itself, and a week in the “Auld Grey Toon” would be hard to beat including classic local links like Elie and Crail, clubs that perhaps best capture the essence of golf in Scotland. 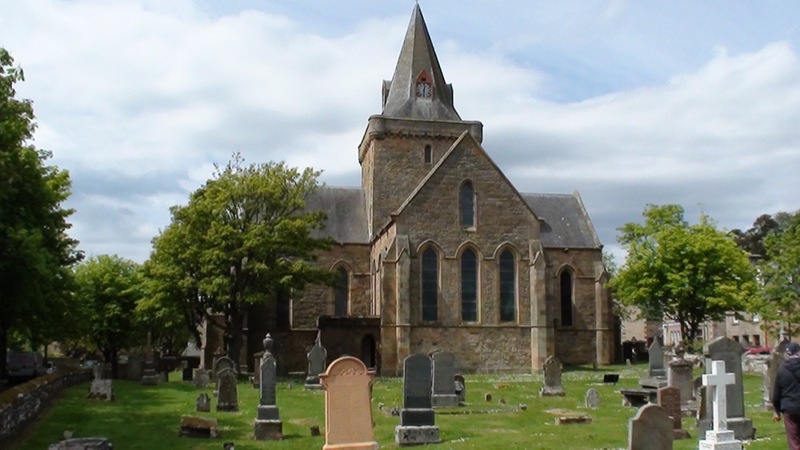 From Fife, go Forth across the Firth to find some real “links to the past” east of Edinburgh at another “home of golf,” the town of Gullane. The Ultimate Hidden Links may well be in the west. The Machrie, on the Isle of Islay, and Machrihanish, on the Mull of Kintyre, are straight from the imagination about what Scotland should be like. 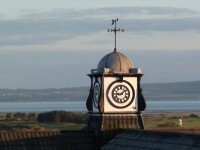 Back on the mainland, Prestwick, birthplace of the Open, is the experience of a lifetime. 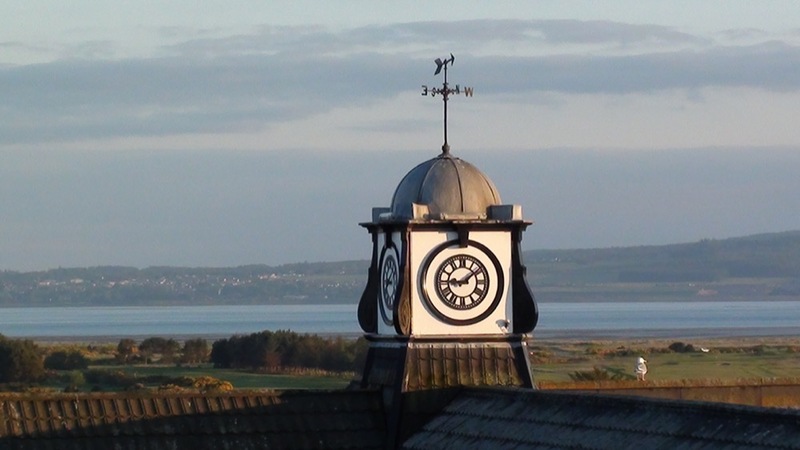 Western Gailes is another essential counterpart to the Ayrshire open venues. 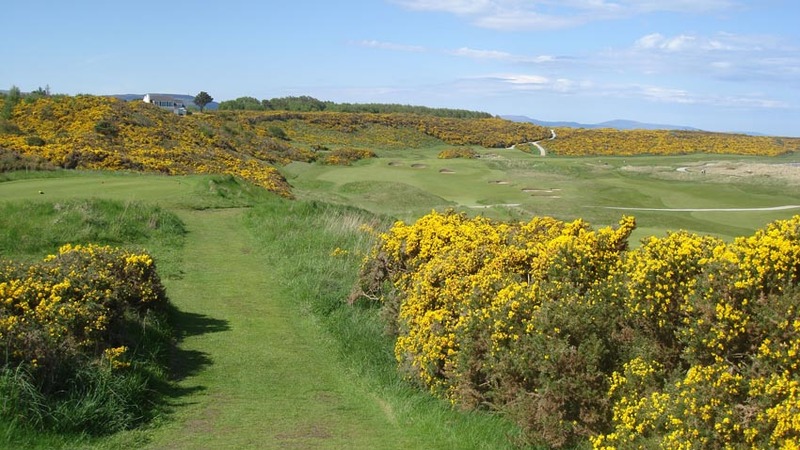 You will love all of these courses, and if you take a Hidden Links tour, and you may find yourself rattling off some new names when you return home! 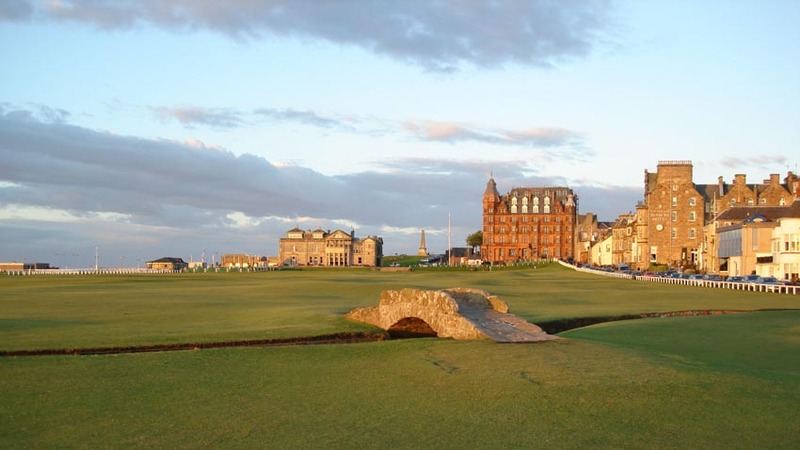 Considered perhaps to be one of the most well-known and respected courses found anywhere in the world, the Old Course at St. Andrews in Scotland is the ultimate when it comes to golfing and even in terms of the very origin of the game. 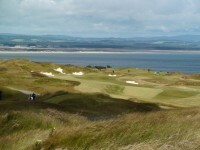 Truly amazing by any measure, the Fairmount Saint Andrews resort in Scotland offers golfers manicured and expertly maintained fairways that are uniquely situated high above sea level. 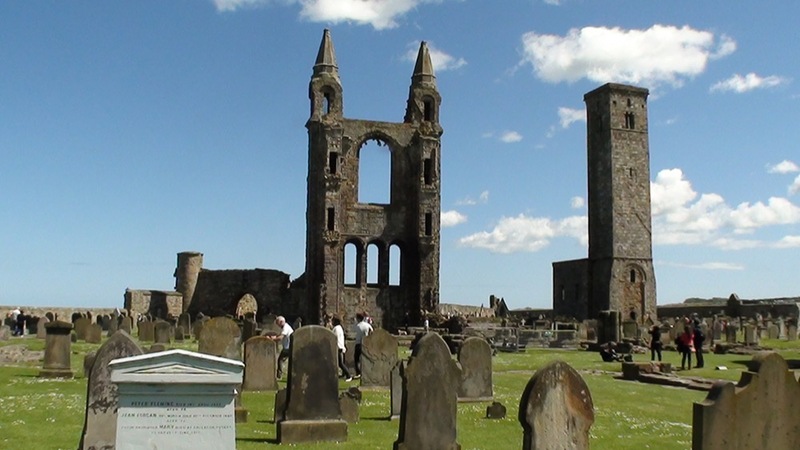 Comprised of the Torrance and the Kittocks courses this golfing experience offers stunning views, including sights of the impressive and remarkable St. Andrews Cathedral ruins. 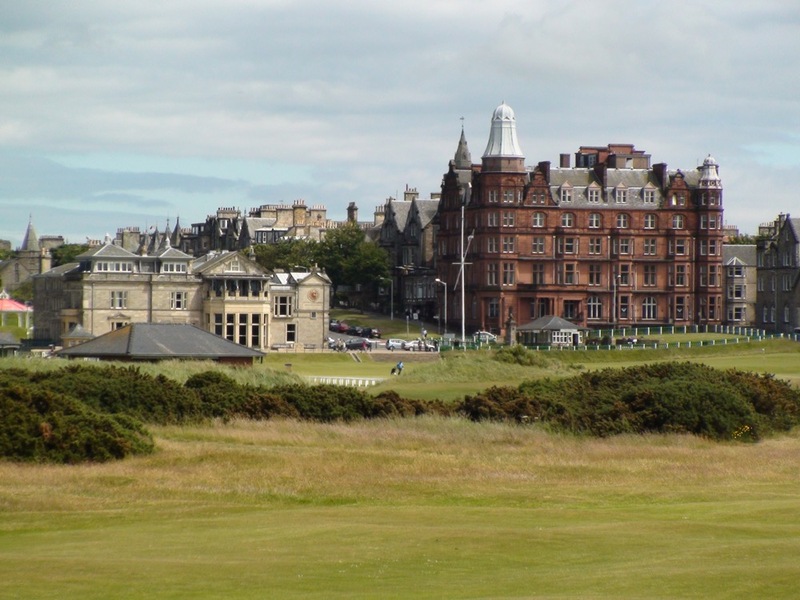 The St. Andrews links in Scotland are comprised of well over half a dozen courses. 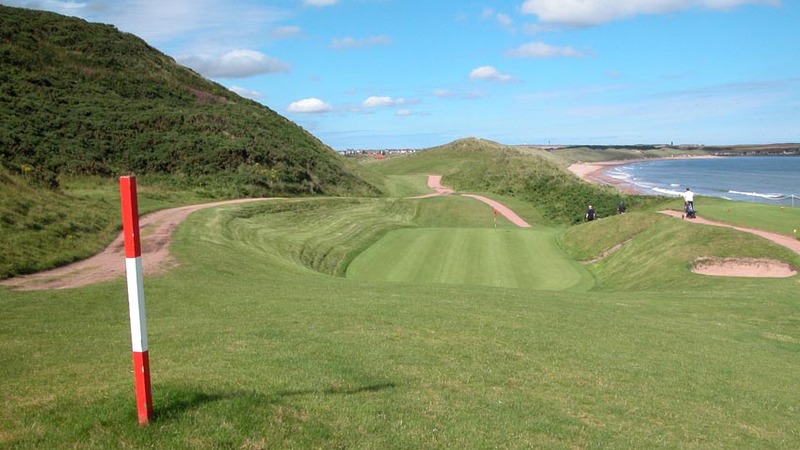 These meticulously manicured and beautifully planned golf courses are managed and maintained by the St. Andrew’s Links Trust. 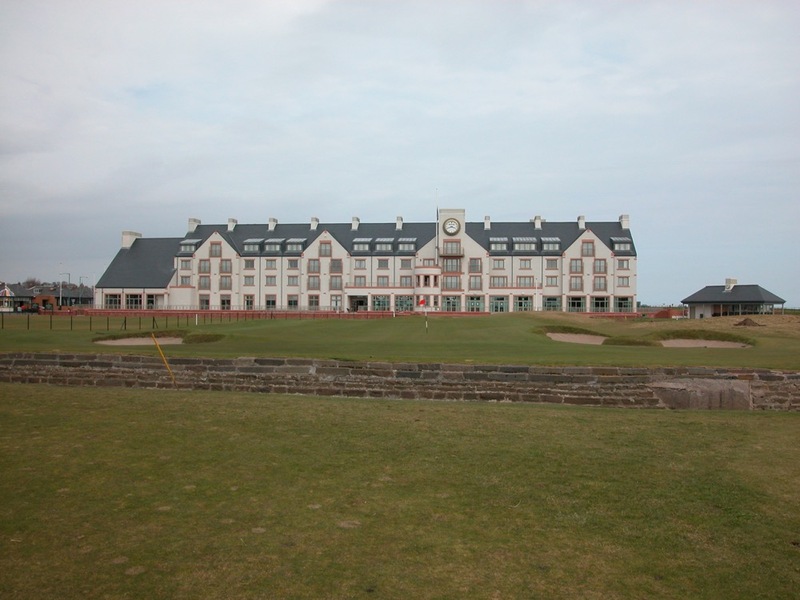 Arguably the most difficult and most challenging golf course in all of Scotland, Carnoustie Golf Links must be experienced firsthand to fully appreciate this remarkably engineered golf course. 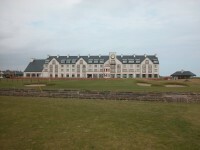 Boasting some of the most difficult holes ever encountered, the Carnoustie Golf Links present a real challenge to even the most seasoned golfing professionals. 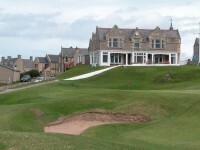 Situated along the kingdom of Fife Coast, the Kingsbarns Golf Links are conveniently close in proximity to St. Andrews. 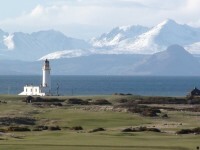 With amazingly spectacular views of the vast ocean, this is one Scotland golf course that should not be missed. 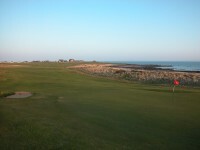 No golfing excursion to Fife Scotland could be complete without playing the courses of Crail Golfing Society Balcomie Links. 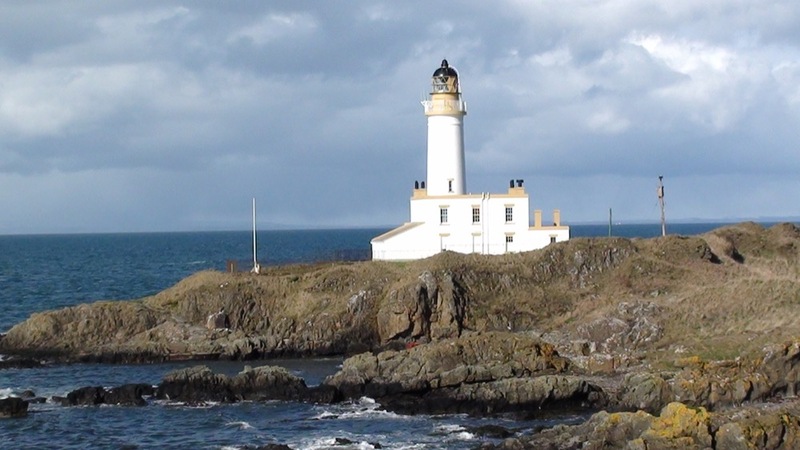 With genuine old world charm, even the smaller courses that are situated up and down the Fife coast of Scotland are an absolute treasure. 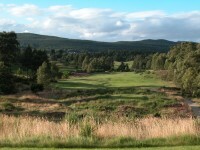 Nestled in Perthshire, Scotland, The Blairgowrie Golf Club offers a number of unique and special aspects of the Scotland golfing experience. 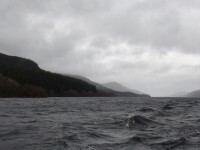 These are aspects that simply cannot be ignored. 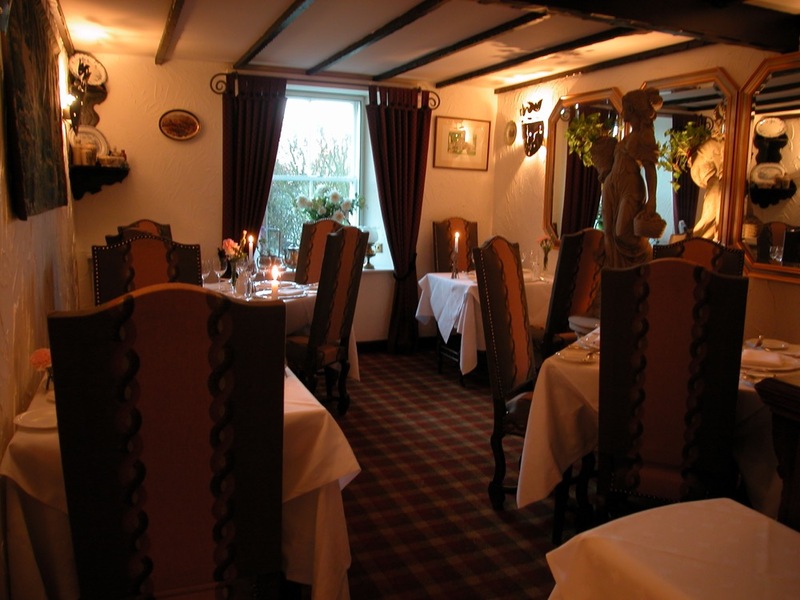 Amazing and elegant by any stretch of the imagination, the Ladybank Golf Club is located deep within the kingdom of Fife in beautiful Scotland. 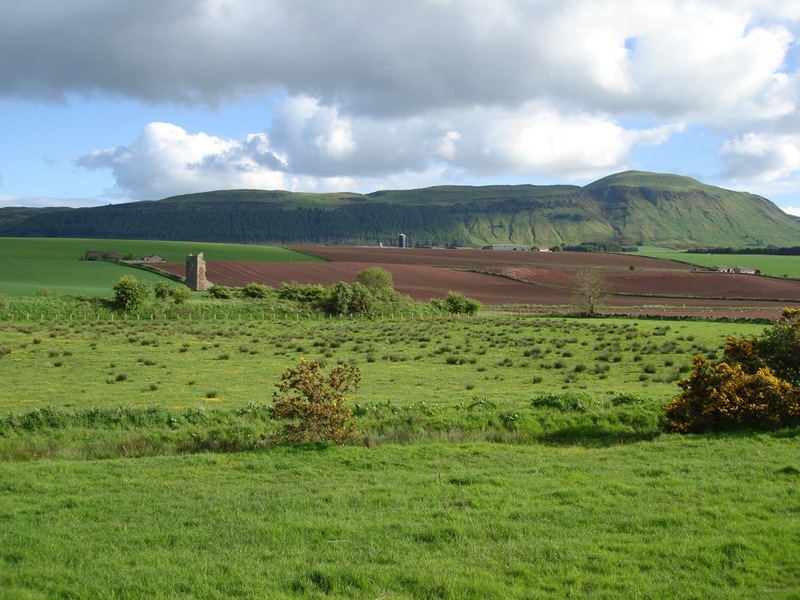 Very close in proximity to the town of Cupar as well as the widely known Deer Park, this is a top-of-the-line Scotland golf course that is situated well inland and that offers stunning and spectacular greens and scenery that are simply beyond compare. 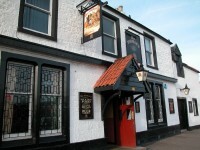 Just a short distance from Carnoustie and Monifieth Medal Course, the Monifieth Golf Links is known for its beauty, remarkably manicured greens and the fact that it is host to Open Championship Final Qualifying when the Open is actually played in the beautiful area of Scotland known as Carnoustie. 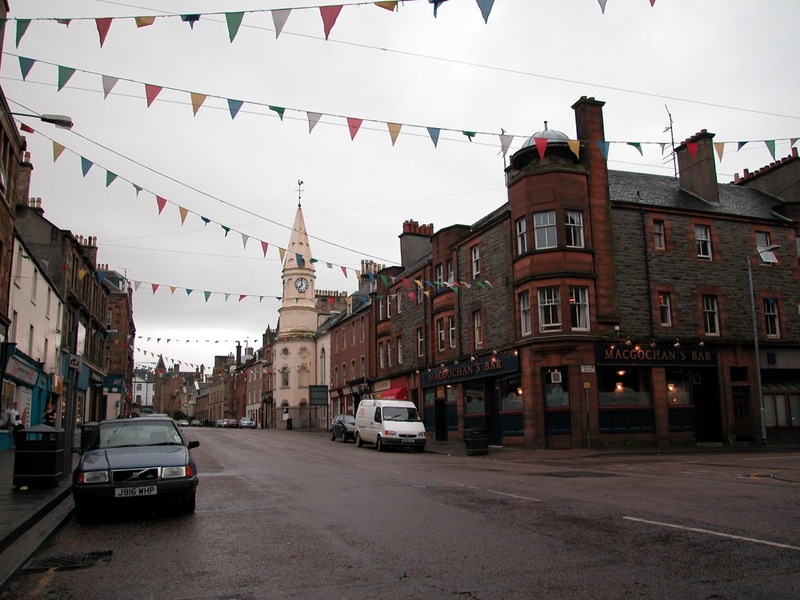 Uniquely located in the Scottish Highlands, Pitlochry is a little town that is the gateway to what is considered to be perhaps the most beautiful area of Scotland. 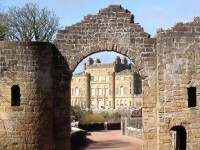 Well within striking distance of St. Andrews it is an area that is picturesque, scenic and remarkably beautiful in every respect. 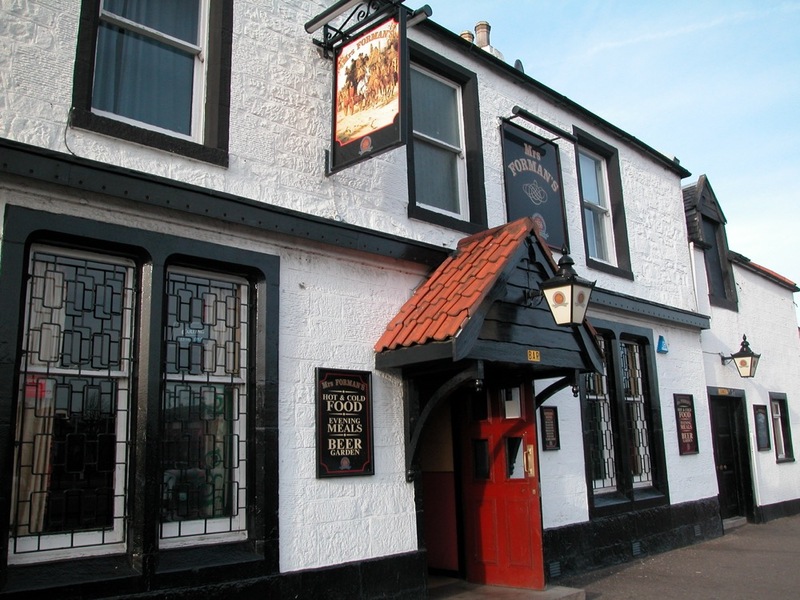 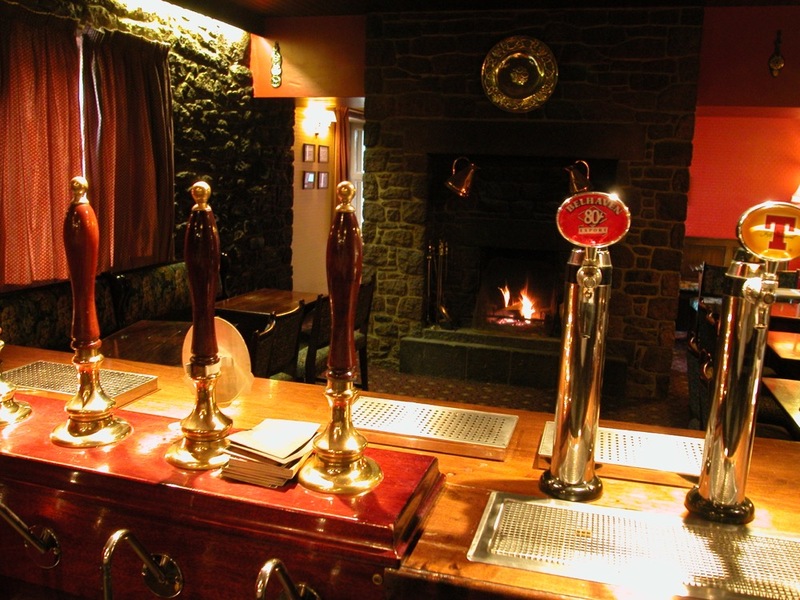 Conveniently situated close to St. Andrews, The Duke’s Course is a favorite among those from the local area as well as those from different countries around the world. 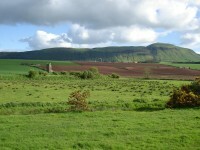 With stunning views and majestic hills, the landscaping, scenery and natural beauty are simply beyond compare. 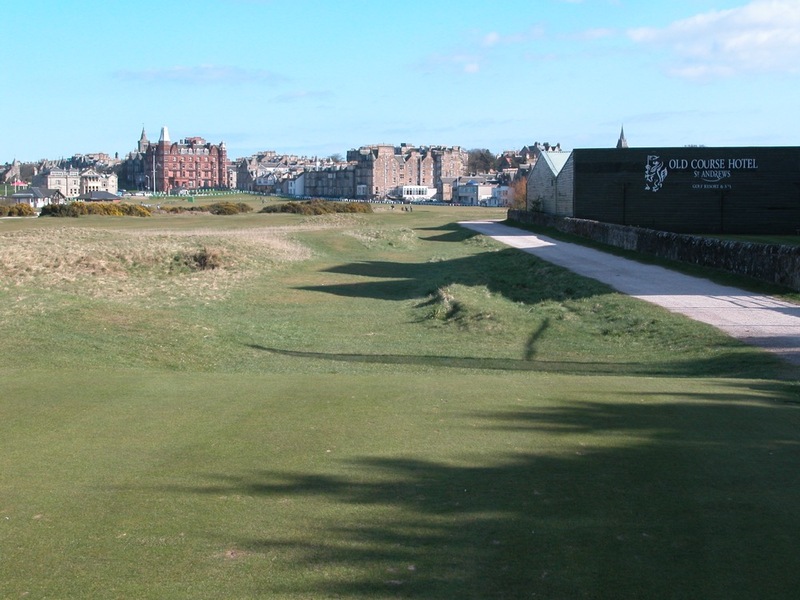 Barely a decade ago, the St. Andrews links course number seven finally became a reality in 2008. 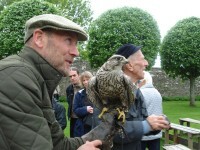 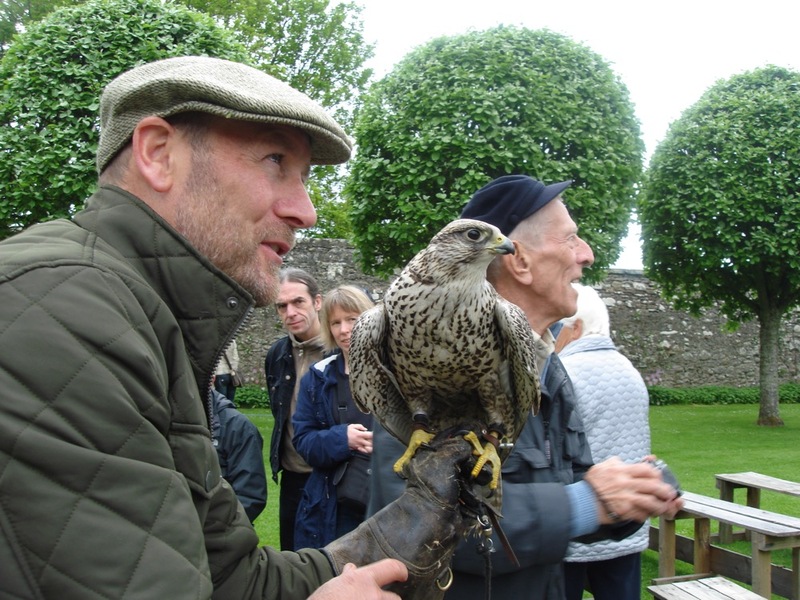 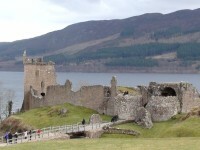 This is when The Castle Course was originally opened. 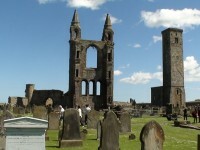 Boasting spectacular views the Cathedral and the St. Andrews Castle, playing this course is an experience second to none. 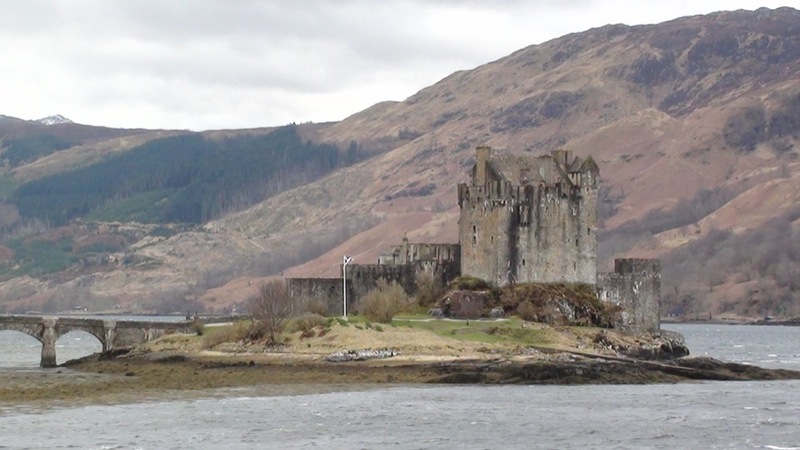 Known the world over for having some of the most beautiful and exotic golf courses in the world, Scotland has much to offer for golfing pros and novices alike. 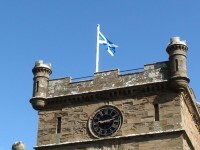 Exploring all that the St. Andrews Ladies’ Putting Club has available is just one more example of the amazing and unique golfing experiences found throughout Scotland. 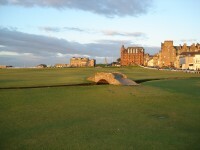 What could be more exciting than golfing St. Andrews than experiencing the “Old Course” in reverse play? 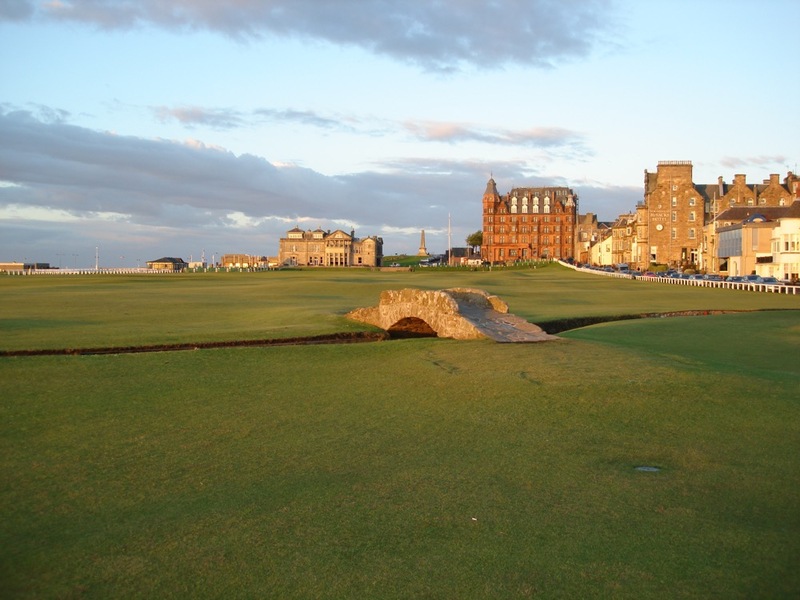 During certain times of the year, particularly in early April, St. Andrews makes available to visitors to Scotland the rare chance to take on the links in left-handed fashion. 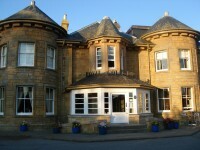 Majestic and impressive in every way the Gleneagles Hotel in Scotland is an experience that is beyond words. 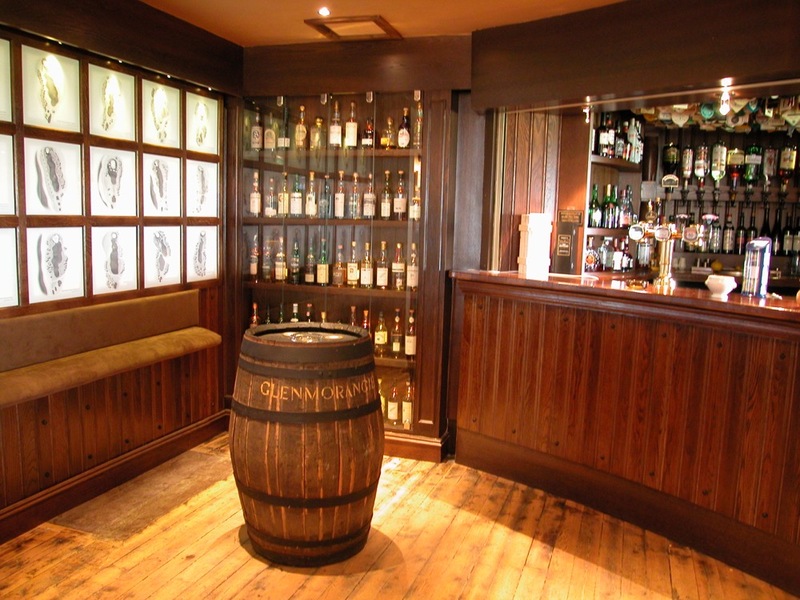 Clearly regarded by many as one of the most outstanding golf resorts in the world, the Gleneagles is an amazing golf resort that should be an absolute must see with any Scotland golfing trip. 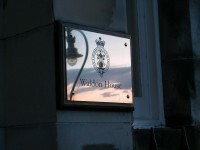 The remarkably impressive Golf House Club situated in beautiful Elie on the south Fife coast is an experience beyond compare. 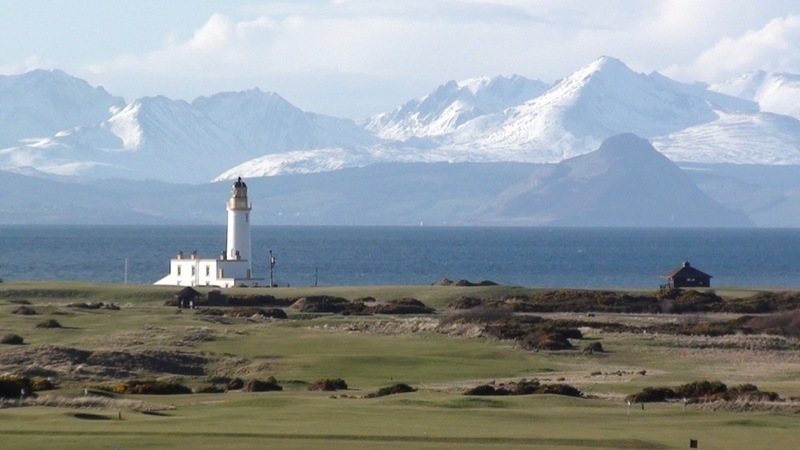 Considered to be one of the most classic golf clubs in all of Scotland, this is a course with truly traditional links that is wonderful in every way, especially considering the fact that it is right on the sea. 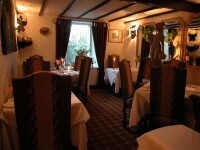 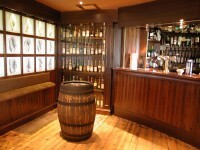 The Panmure Golf Club is especially inviting and is particularly close to Carnoustie. 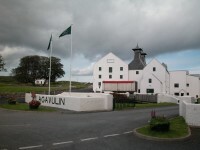 The links are laid out in a unique and custom way making for a special golfing experience in Scotland that cannot be found any place else in the world. 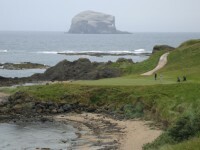 Nestled along the south coast of Fife is a true hidden treasure in a stretch of links that have earned the respect of golfers from around the world. 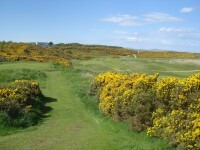 The Lundin Links are comprised of the Leven Links as well as the Lundin Golf Club. 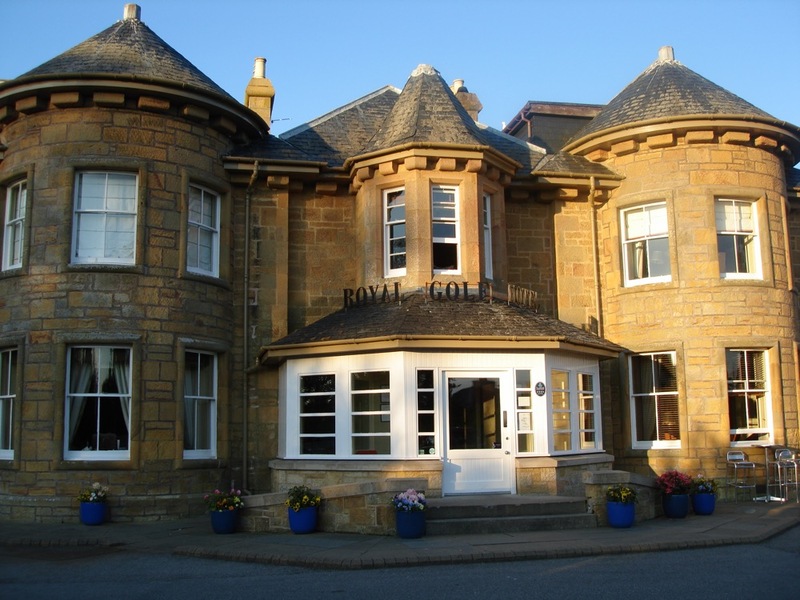 Situated close by to Scotland’s Lundin Golf Club is the revered Leven Links. 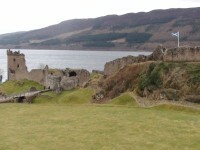 This impressive open qualifying venue is one of the most delightful Scotland golfing experiences imaginable. 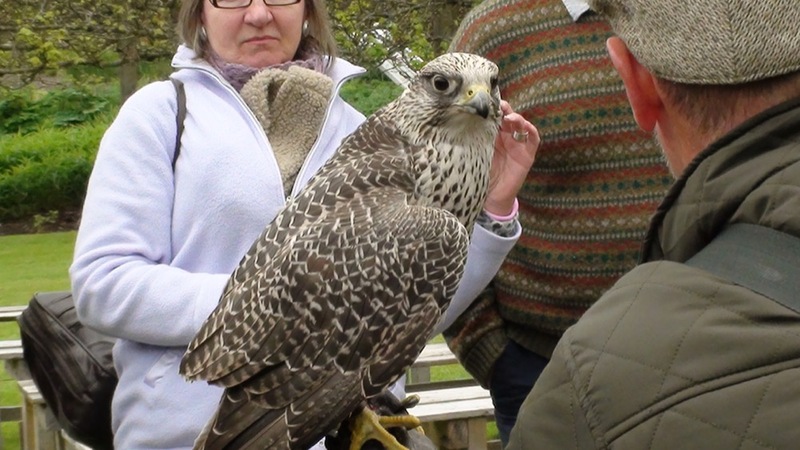 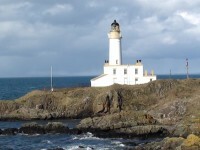 Leven Links is inspiring and beautiful by every measure. 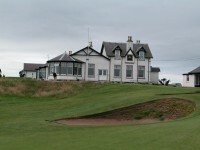 As one of Scotland’s most notable golf courses, Scotscraig Golf Club is an impressive course and is in fact the 13th oldest course in the entire world. 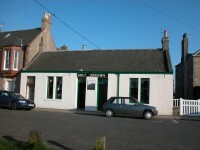 It is also an open final qualifying venue situated conveniently in Fife. 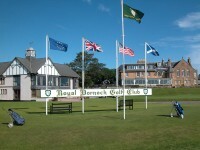 Royal Troon Golf Club in Scotland offers a truly rare opportunity to enjoy Scottish golfing at its absolute best. 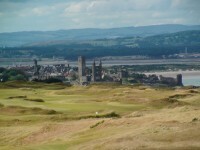 It is a well-known open championship venue with a unique twist on playing the Old Course which includes the famous postage stamp 8th. 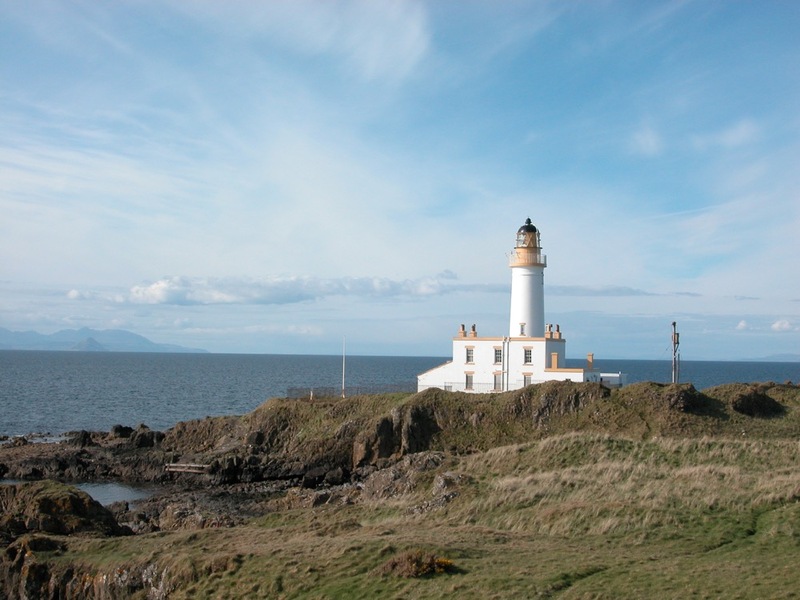 Known the world over, Turnberry Scotland is perhaps one of the most world famous Scottish golf courses with virtually no rivals. 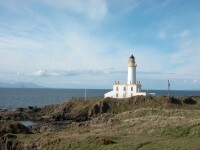 The Trump Turnberry Resort is located in Ayrshire Scotland and features the iconic an impressive Turnberry lighthouse. 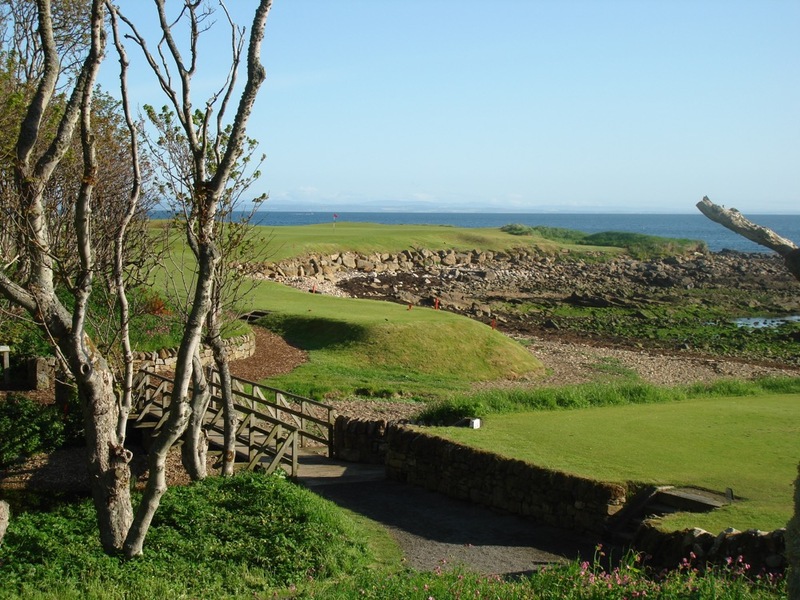 Situated at the tip of Kintyre Peninsula is Machrihanish Golf Club in Scotland. 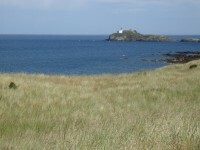 Considered by many to be one of the world’s truly unique and amazing golf courses, even the opening tee shot requires players to navigate a corner of the Atlantic Ocean. 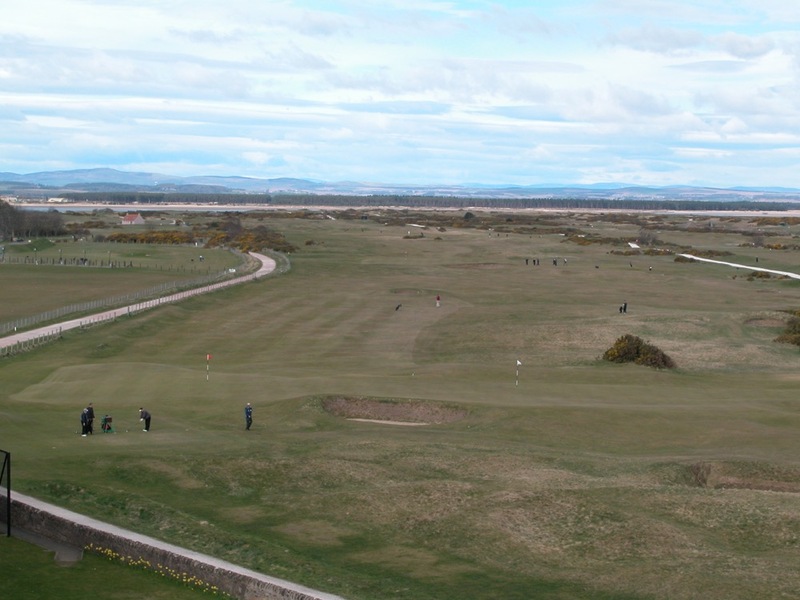 Without a doubt, an impressive Scottish golf course, the Machrie Golf Links takes golfing the Scottish countryside to an entirely new level. 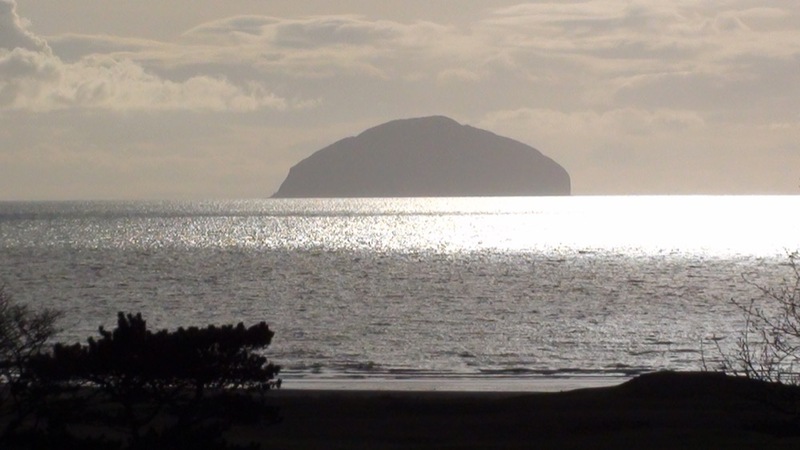 To get to this unique and amazing golf course in Scotland requires taking a ferry to an island situated just off of the west coast of Scotland. 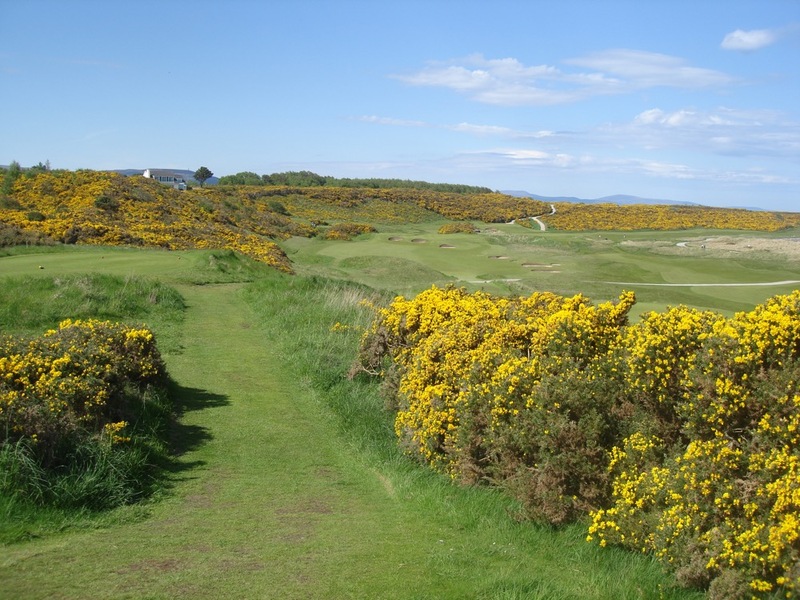 Golfers from around the world have marveled at the beautiful course of Dundonald Links. 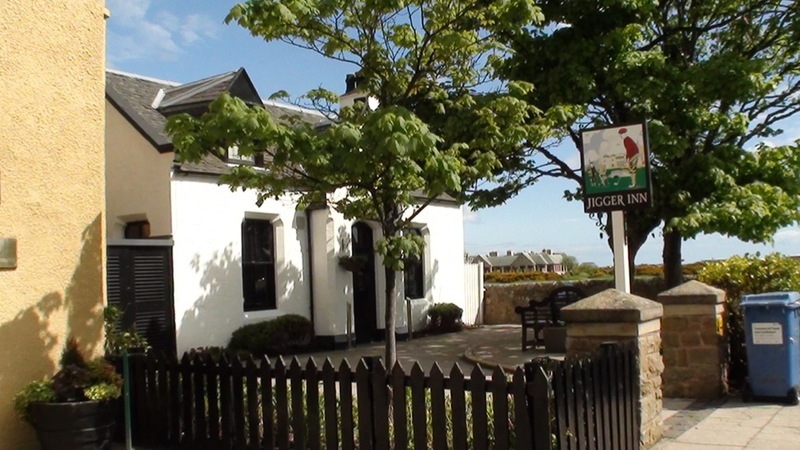 Conveniently situated between Western Gailes and Glasgow Gailes this is really the perfect Scottish golfing venue that must be experienced up close and personal. 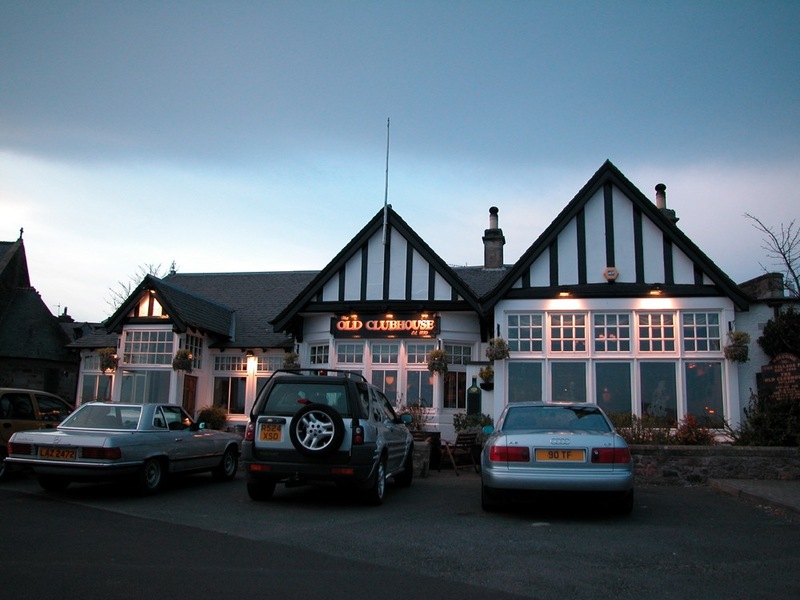 Located on Loch Lomond in Scotland, The Carrick Golf Club makes for a perfect golfing getaway for beginners and professional golfers alike. 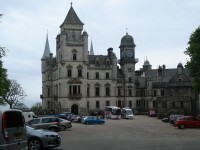 The course is part of a five-star resort known as the Cameron House. As with other Scottish golf courses, the Prestwick Golf Club offers an amazing opportunity to experience Scottish golfing like never before. 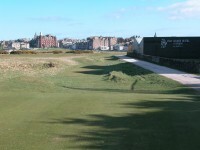 Prestwick Golf Club is set back from the coastline in such a way that players can navigate from one course to another easily. 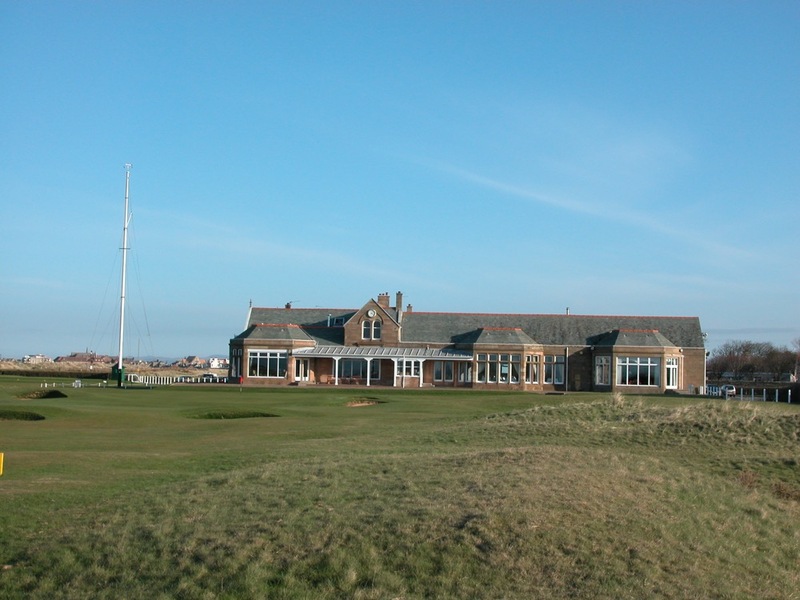 Located in Ayrshire, Scotland, the Western Gailes Golf Club is yet another truly amazing Scottish golf course with much to offer. Many golfing professionals and novices alike consider this to be one of their most favorite golf courses in all of Scotland. 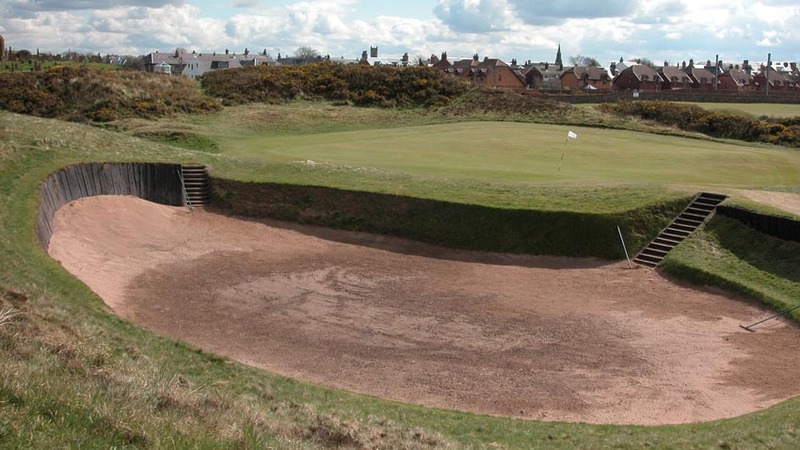 Situated just a few minutes to the north of Troon, this is a course with truly superb links and amazing course architecture. 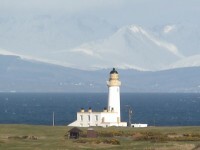 Uniquely located at the tip of the remote Kintyre Peninsula, Machrihanish Dunes Golf Club in Scotland is close to Campbeltown. Indeed one of the world’s most impressive golf courses, this is a course that demands that players cut directly over a portion of the Atlantic Ocean in the opening tee shot. 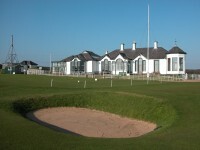 As with other Scottish golf courses, Gailes Links Golf Course is truly a sight to behold. 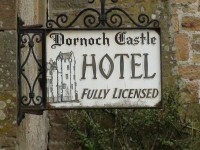 The course is in every way quintessential Scotland. 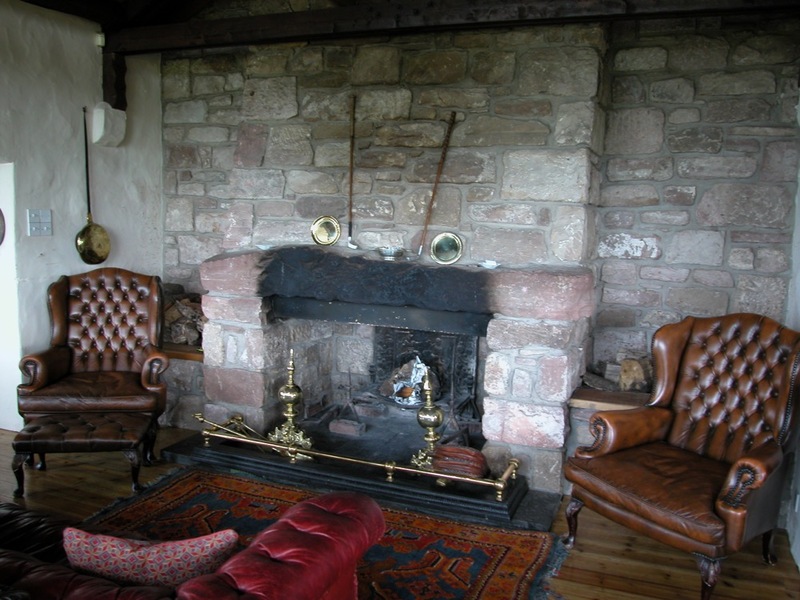 From the golf course to the clubhouse, tourists from around the world enjoy this genuine Scottish golf course experience. 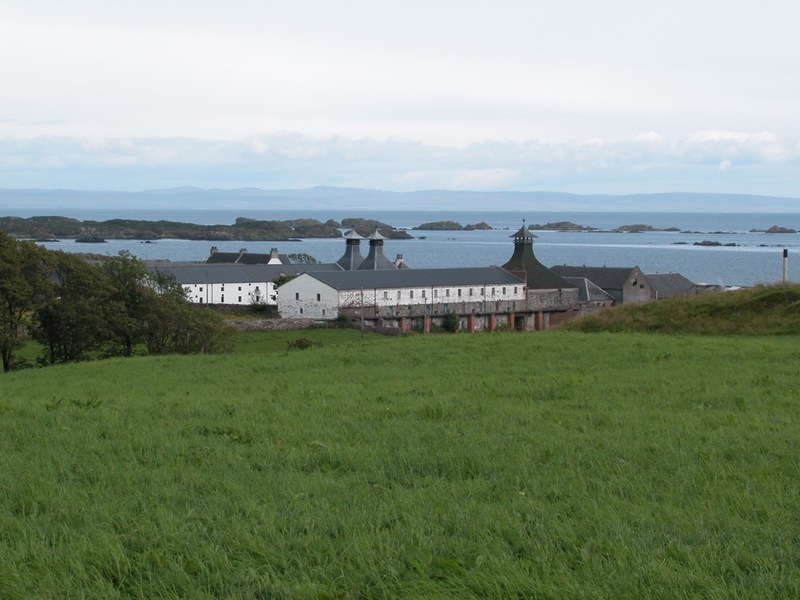 Those who enjoy golfing the Scottish countryside will quickly fall in love with the Shiskine Golf and Tennis Club. 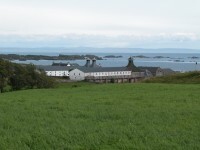 Considered by many to be one of the most unusual golf courses in Scotland, the Shiskine Golf and Tennis Club is uniquely situated in an area where ferry travel is common. 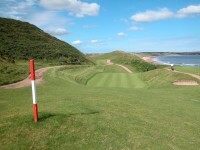 Askernish Golf Club is another remarkable Scottish golfing venue that is simply beyond compare. 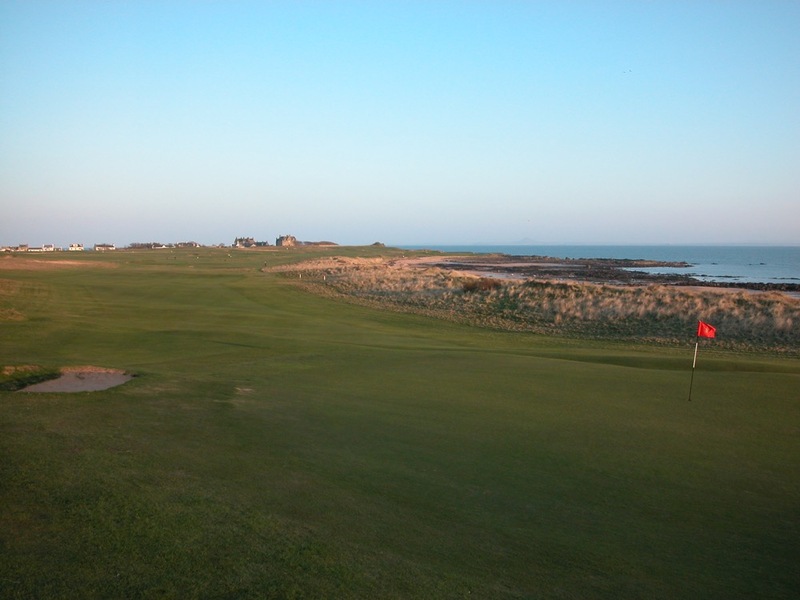 Situated on the island of South Uist, this beautiful and impressive course draws tourists and golfers from just about every country in the world. 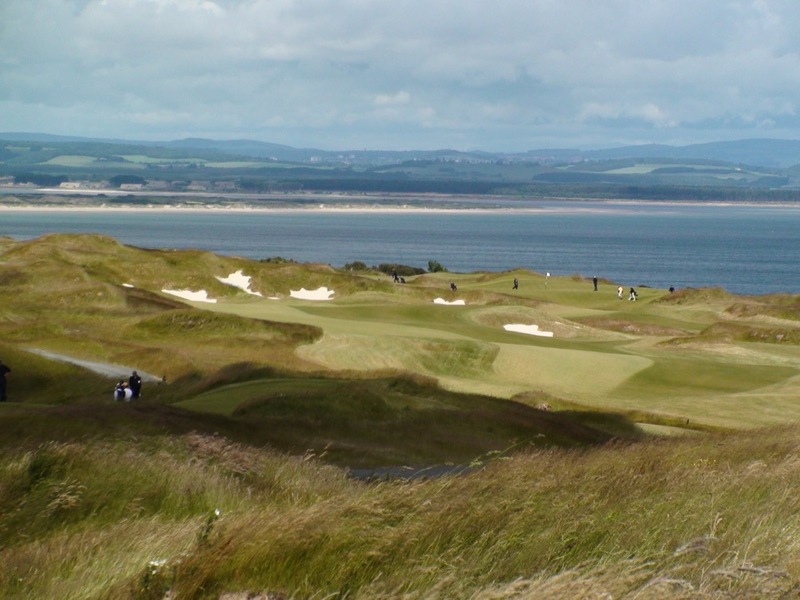 Known as the Ballybunion of Scotland, with its mammoth dunes this is a seaside resort with an impressive golf club that is simply beyond compare. 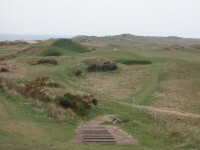 Cruden Bay Golf Club is genuinely unique in many ways including the fact that it is situated by Slains Castle at Cruden Bay in Scotland. 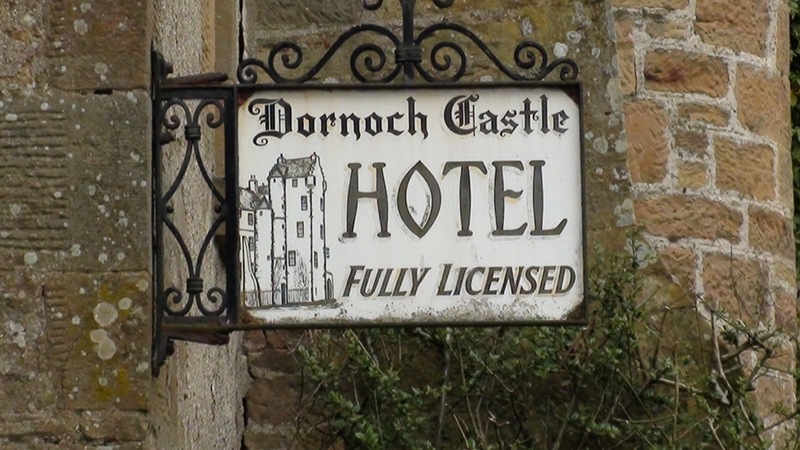 When it comes to the worlds most extravagant and most beautiful golf courses few other developers can compare to Donald Trump. 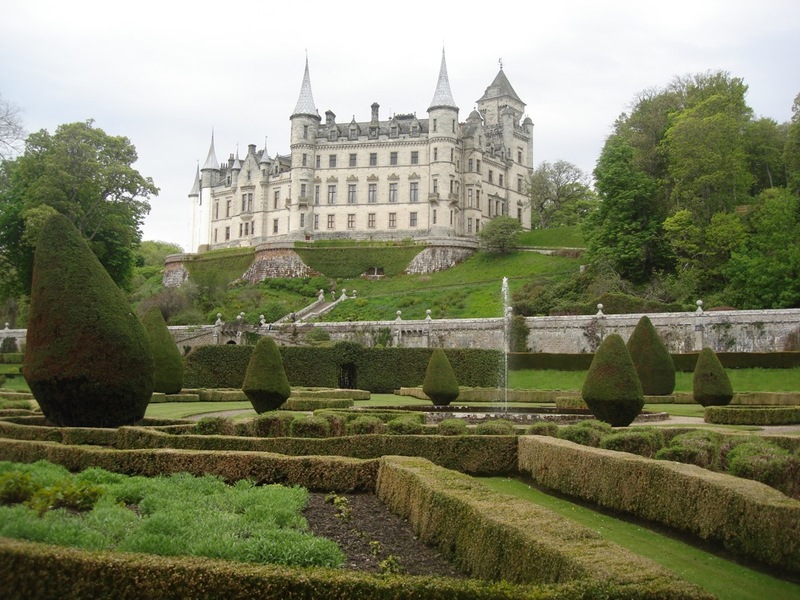 That said this golf course developer set out to build one of the world’s finest golf courses in an area of Scotland known as Aberdeen. 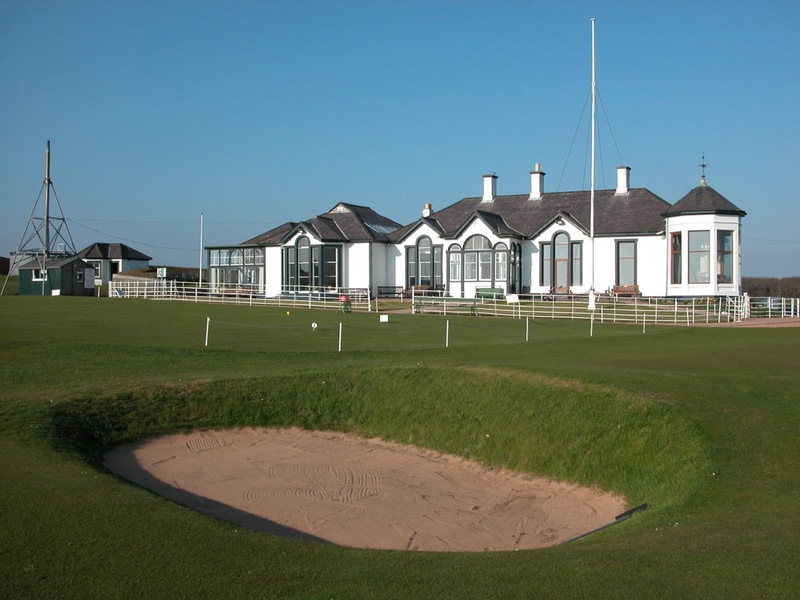 Noted as being the world’s sixth oldest golf course, Montrose Golf Links is an impressive Scotland golf course north of Carnoustie that is also south of Aberdeen in the friendly and inviting town of Montrose. 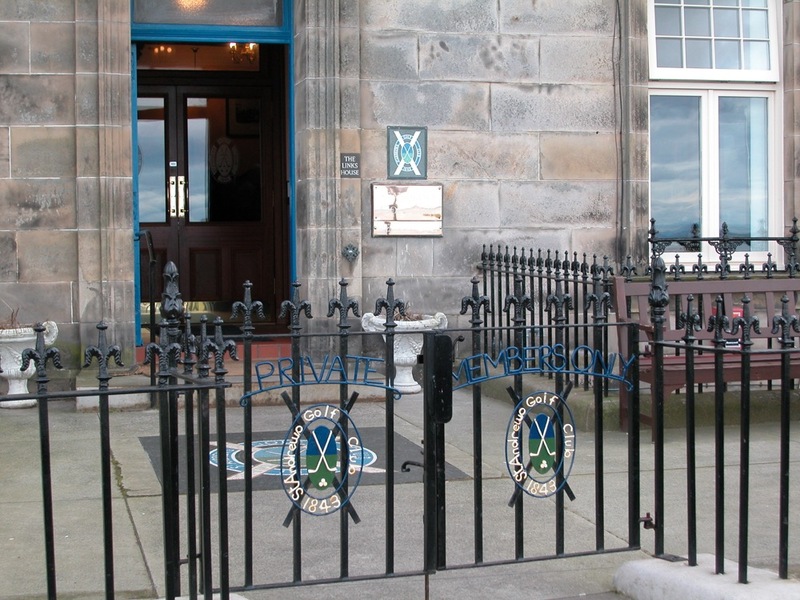 The Montrose Golf Links finds its heritage in the game of golf dating all the way back to the mid-1500s. 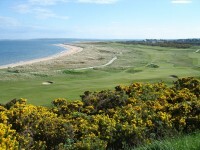 In one of the most beautiful parts of Scotland known as Aberdeen is the Royal Aberdeen Golf Club. This historic and expertly manicured Scottish golf course will likely be added to the open championship rotation and offers a historic and old world feel when golfing Scotland in ways that would not otherwise be possible. 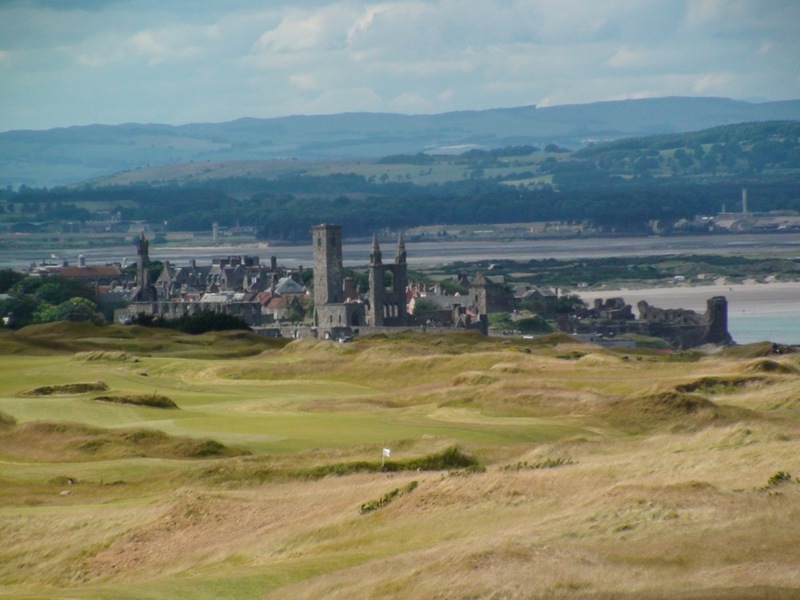 Murcar Golf Club and Royal Aberdeen Golf Club offer amazing Scottish golfing opportunities that must be experienced firsthand in order to be truly appreciated. 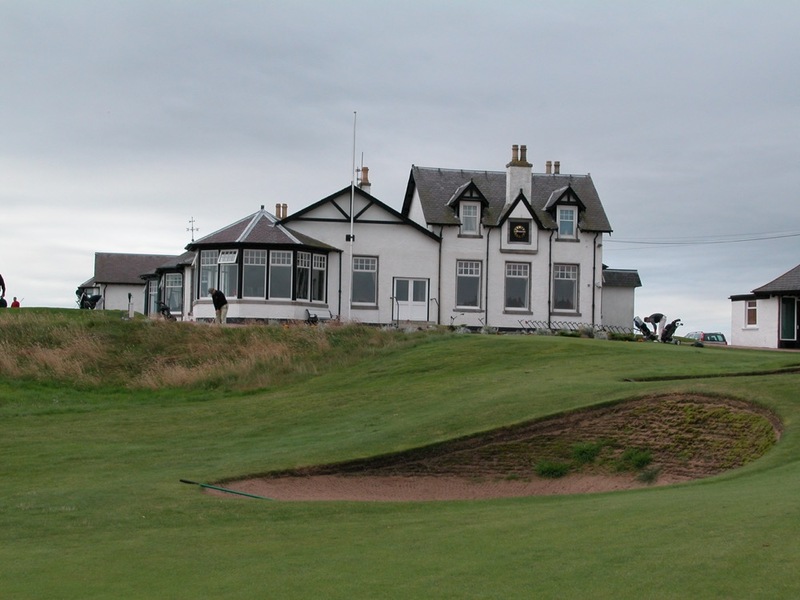 Any golf tour of Scotland would not be complete without experiencing the Murcar Golf Club. 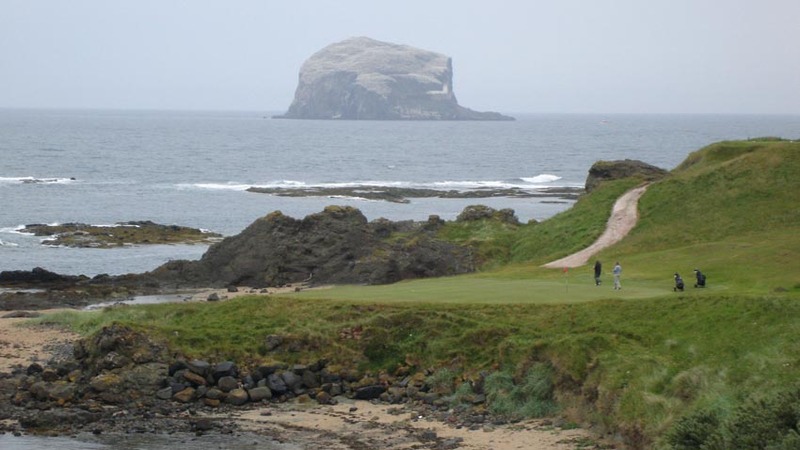 Stonehaven Golf Club in Stonehaven Scotland is clearly one of the most impressive and awe-inspiring golf courses in the entire country of Scotland. 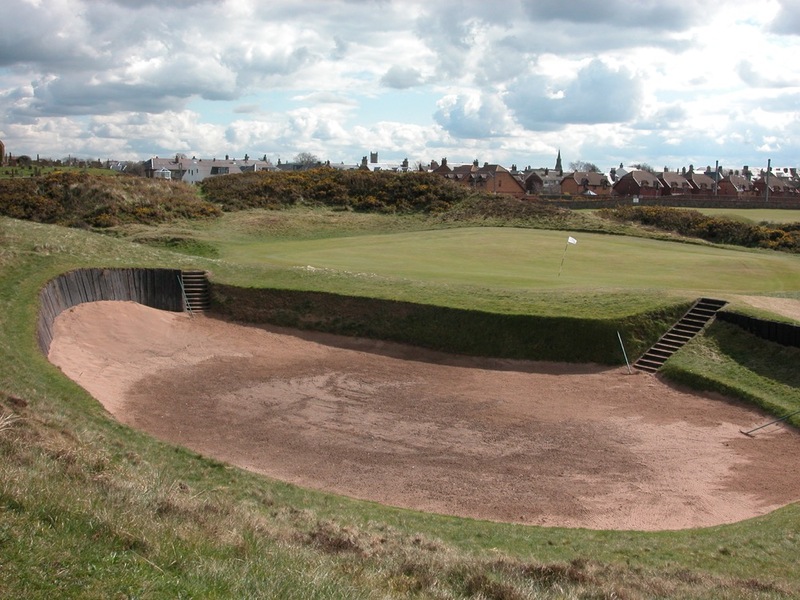 As a truly exciting golf course, this spectacular and inviting course is often compared to Pebble Beach in terms of its overall course architecture and feel. 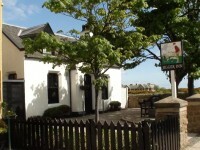 The village of Gullane is situated in East Lothian Scotland and is considered by many to be the second home of golf. 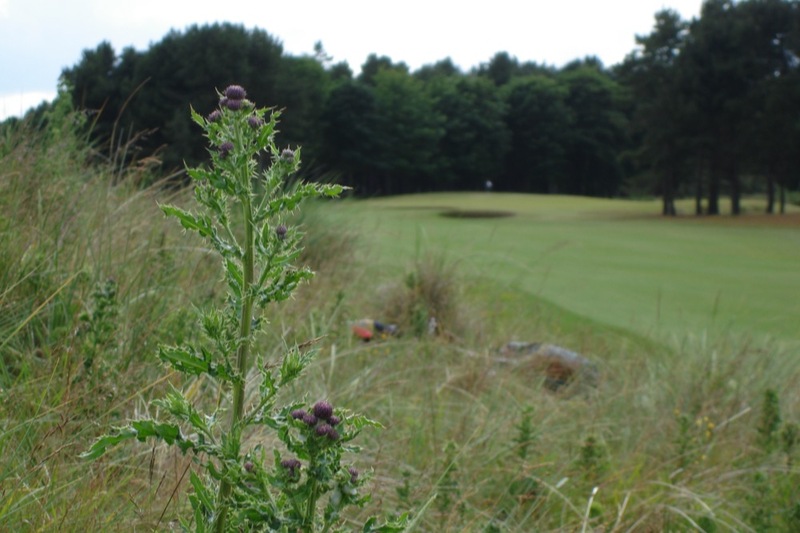 Most notably, this golf course in Scotland hosted the Scottish open championship in 2015 on its world renowned and well-known #1 course. 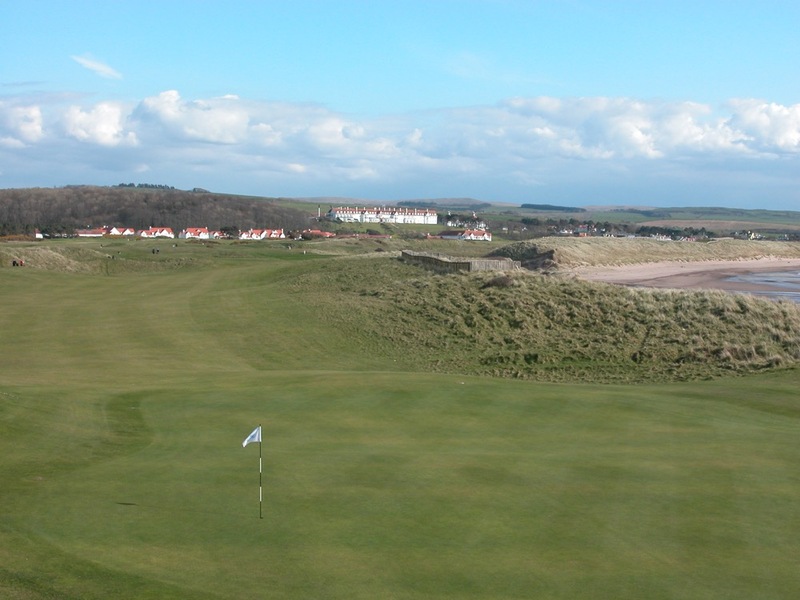 Few Scottish golfing excursions would be complete without a visit to the Dunbar Golf Club in East Lothian Scotland. 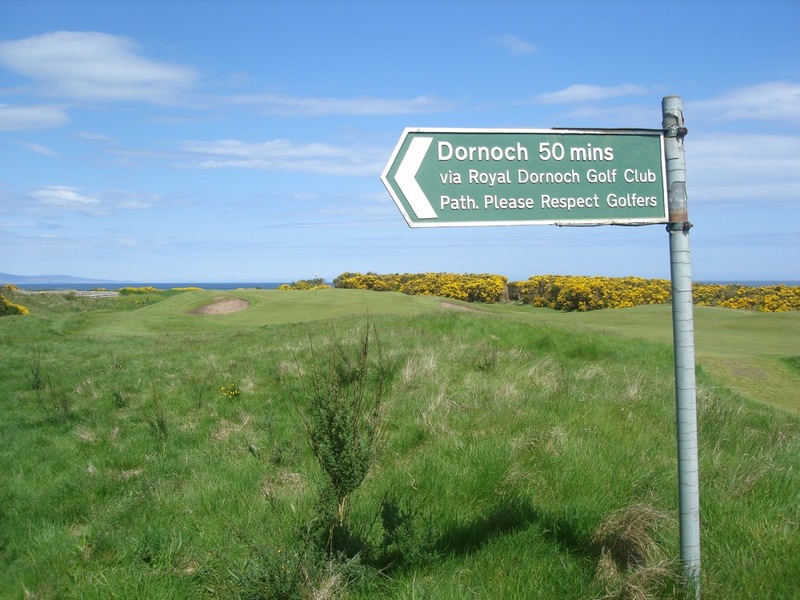 This is hands down one of the most impressive stretches of links found anywhere on the Scottish countryside. 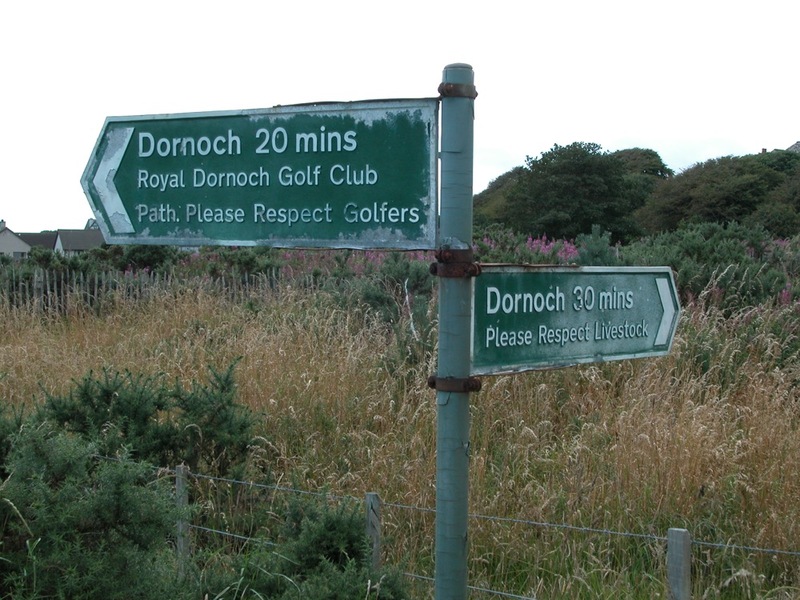 Perhaps most interesting of all is that no two Scottish golf courses are alike. This is what adds to the intrigue and interest in golfing Scotland. 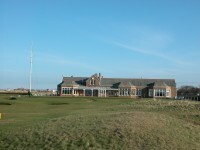 One course in particular that continues to impress is that of the stunning links at Muirfield in Scotland. The Longniddry Golf Club is located in East Lothian Scotland and is one of Edinburgh’s most notable golf courses. 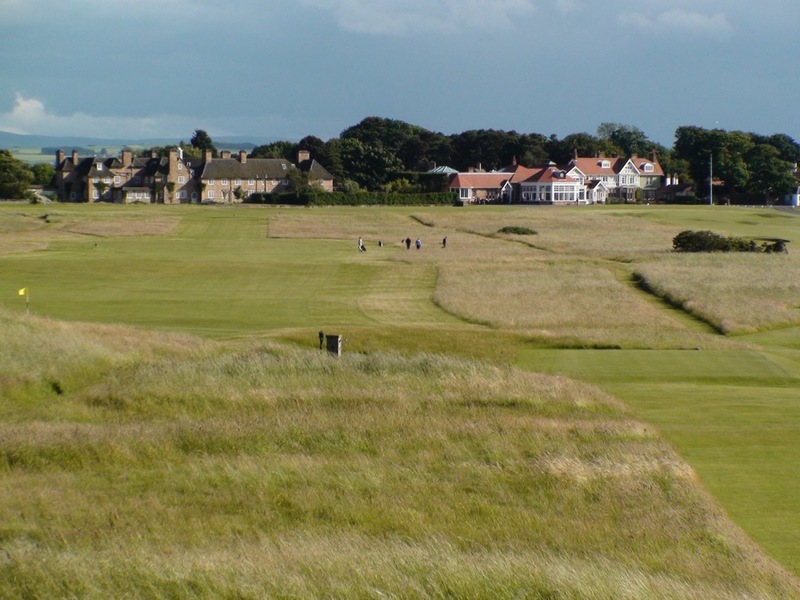 Most interesting of all is the fact that traveling to Gullane ensures that you will pass right by this beautiful Scottish golf course. 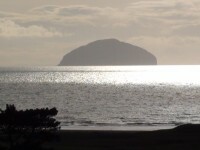 Glen Golf Club in East Lothian Scotland is just one more example of a golf course in Scotland with amazing scenery and incredible holes that are beyond compare. 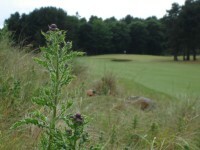 Majestic hills, unique bunkers and other custom characteristics make this one of the more unique golf courses in the region. 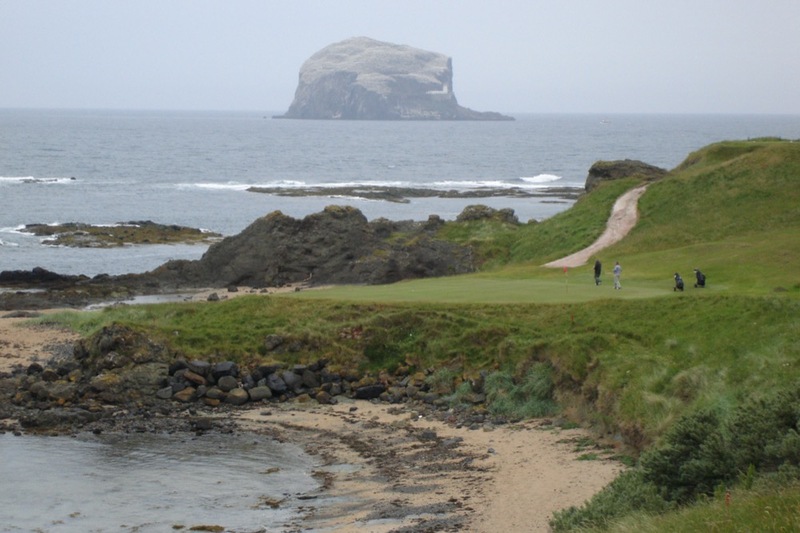 With remarkable character and impeccable charm, the North Berwick Golf Club is the perfect place to experience Scotland golf in what is perhaps the most traditional style imaginable. 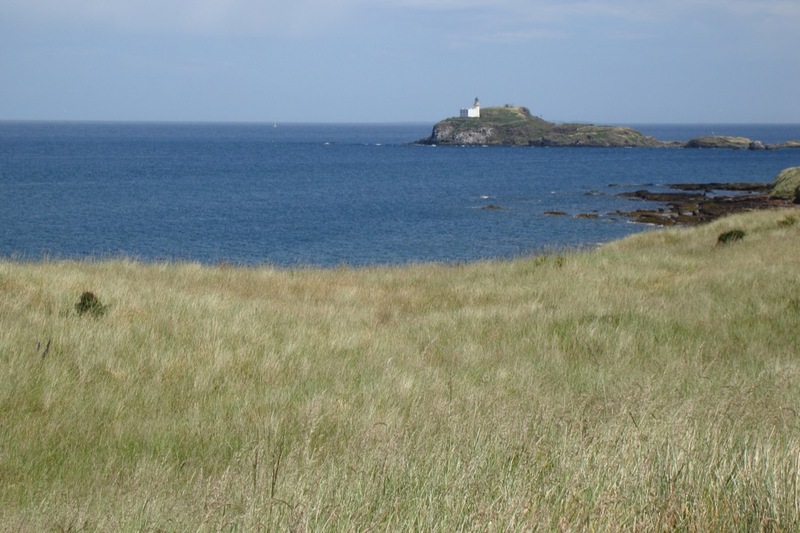 The West Links at North Berwick is an absolute must see for those touring golf courses throughout Scotland and around the world. 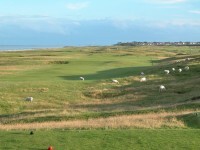 Prior to crossing from Kent over to Sussex visitors will find when driving from sandwich to rye that they will see a rather flat yet intriguing looking golf course to the left of the highway. 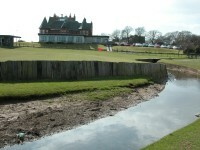 This course is in the village of littlestone and will tempt any dedicated golfer to stop and explore. Found on the old Archerfield Estate, the Archerfield Links are a great way to experience golfing in Scotland that is a cut above. 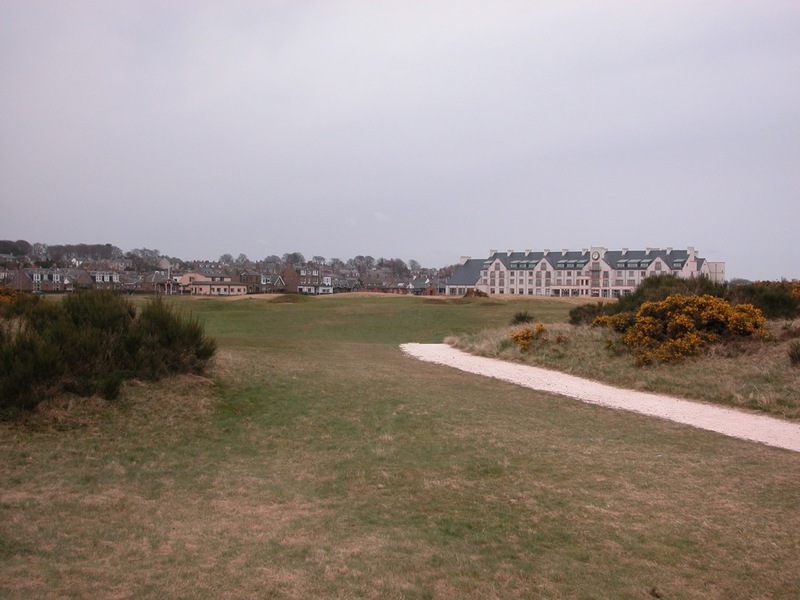 Along this amazing stretch of seaside real estate is where the Archerfield Links were initially built making it the first golf complex in the area. 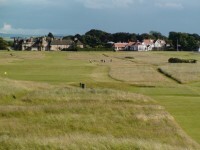 As with other Scottish golf courses, Musselburgh Links offers incredibly satisfying golfing. 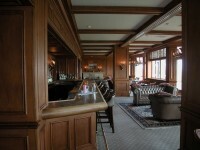 Its inherent beauty and varying levels of difficulty will challenge novice as well as professional golfers. 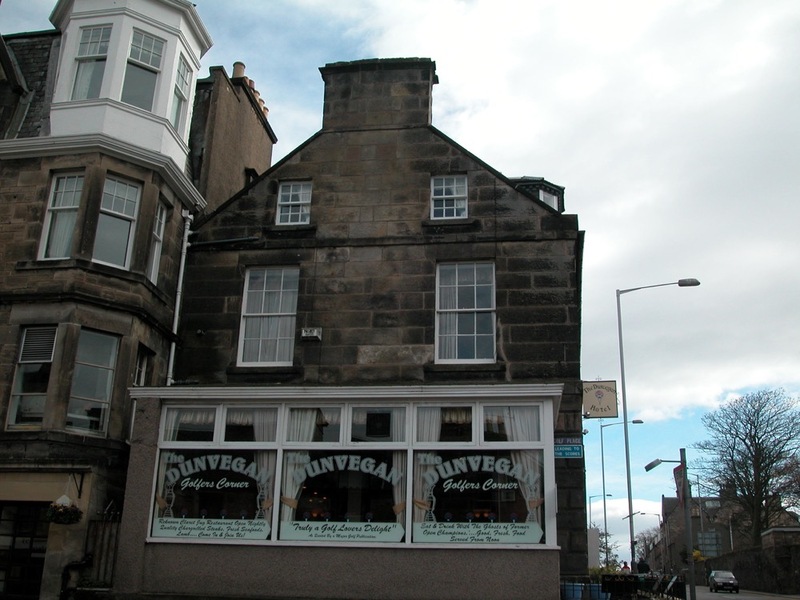 When taking a golf tour of Edinburgh, one would be amiss not to take advantage of all that Musselburgh Links makes possible. 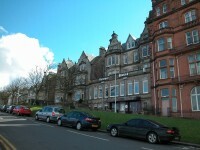 Bruntsfield Links in Edinburgh Scotland offers a perfect change of pace for those looking to play a quick round. 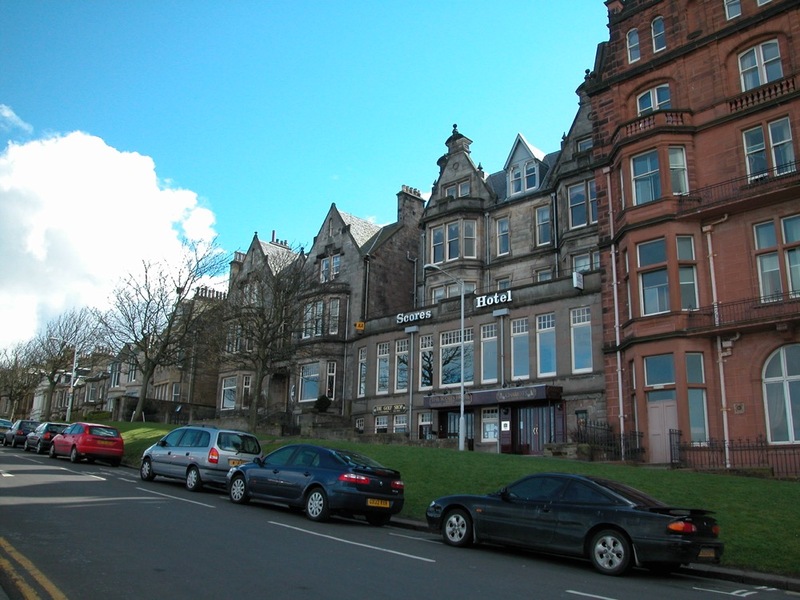 Historic and magnificent in every way, the Bruntsfield Links will take you back in time to centuries gone by where golfing in Scotland was just as popular then as it is today. 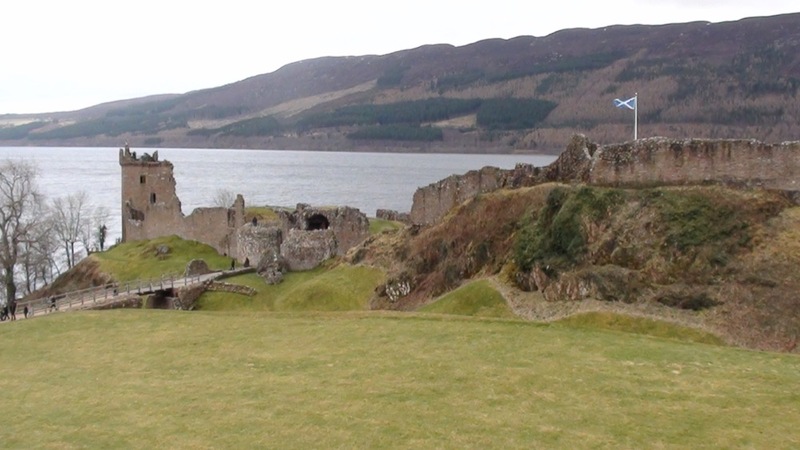 Golfing in Scotland is truly one of the best experiences in the world. 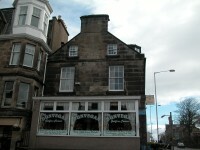 This is especially true when visiting the amazing area known as Edinburgh Scotland. 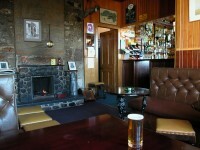 That said, the Kilspindie Golf Club in Aberlady is genuinely charming and quaint in every respect. 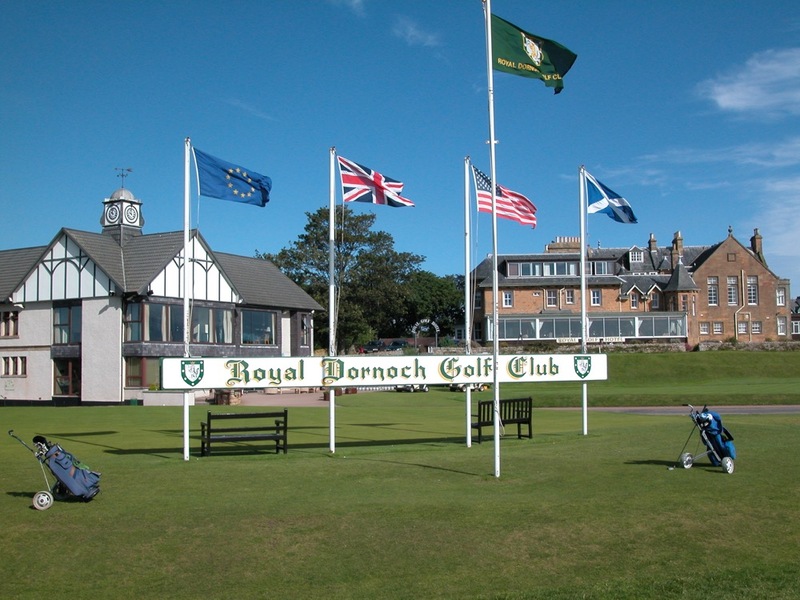 Located in Dornoch Scotland, Royal Dornoch Golf Club is impressive by any measure. This Scottish course is known for being beautiful and pleasing and welcoming. 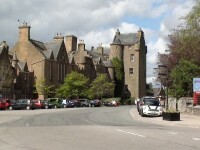 The Royal Dornoch Golf Club is unique in a number of ways including the fact that it makes use of something known as a raised green design. 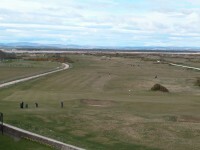 The Nairn Golf Club is another one of Scotland’s premier professional golf courses. 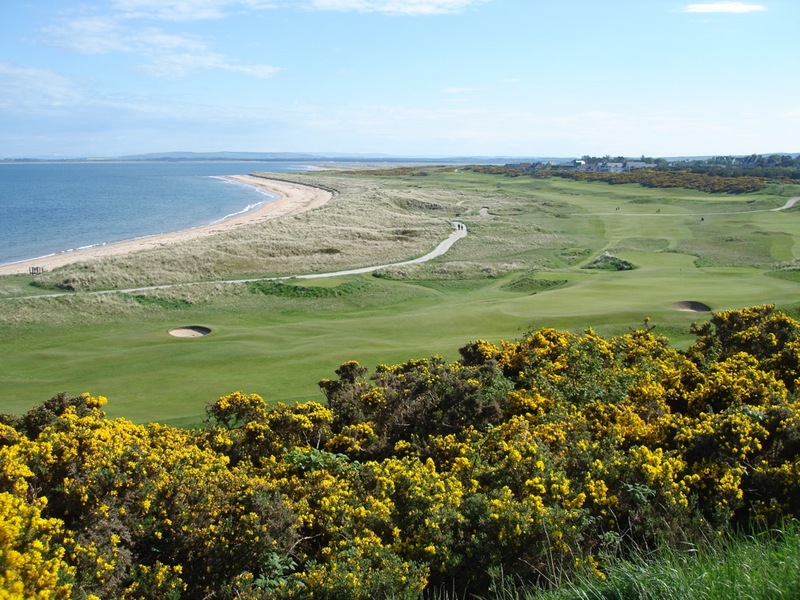 Most locals will tell you that the greens associated with the Nairn Golf Club are some of the absolute best in Scotland. 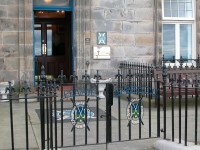 Most notably, the Nairn Golf Club is the original site of the coveted late 1990s Walker cup. Found directly across from the Firth from Royal Dornoch and in the Royal Burgh of Tain is the beautiful and highly respected Tain Golf Club in Scotland. 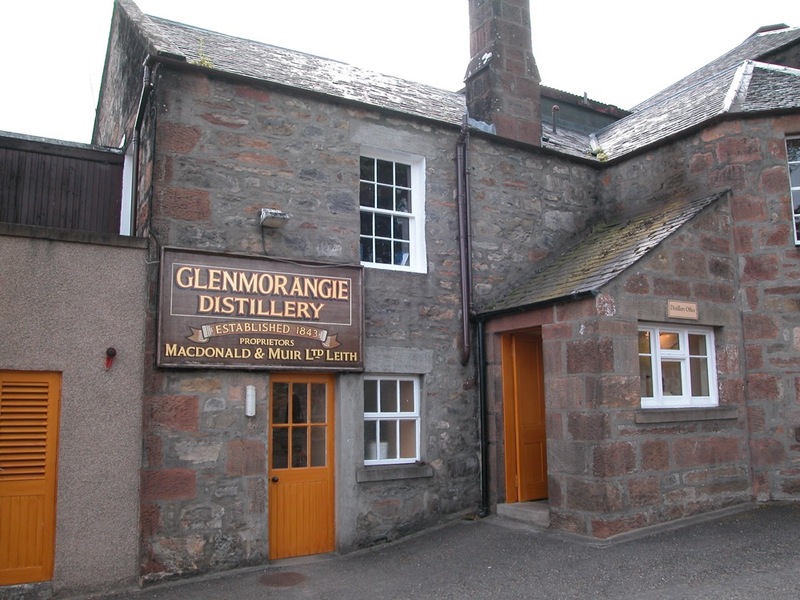 Just a short distance from the Glenmorangie Distillery this is a great place to take in a good game of golf and to also visit a historic and interesting Scottish distillery. 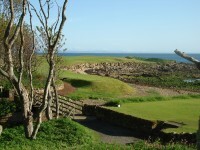 The Moray Golf Club is an incredibly beautiful and endearing Scotland golf course with multiple championship links. 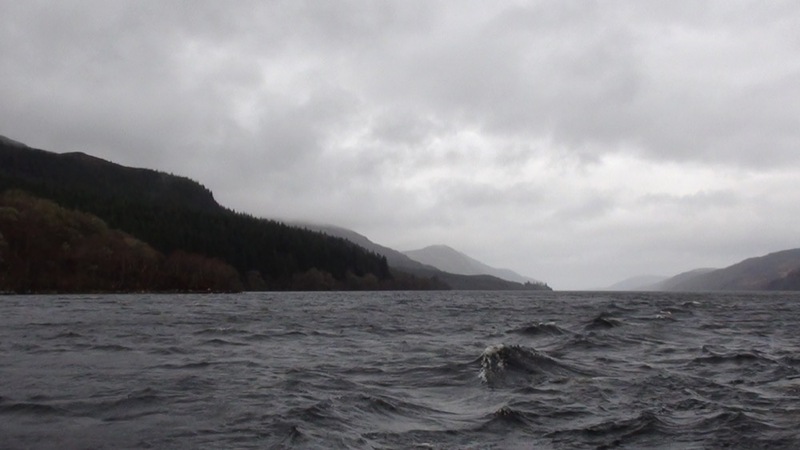 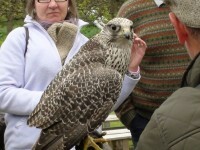 As a note, this course is indeed beautiful and is also in close proximity to a local RAF base. 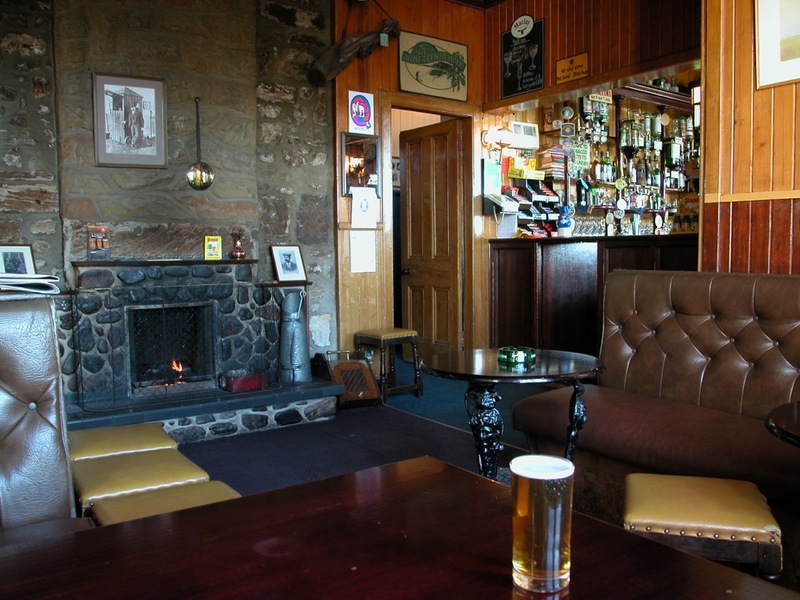 The Boat of Garten Golf Club is yet one more example of the incredible quality associated with modern Scottish golf courses. 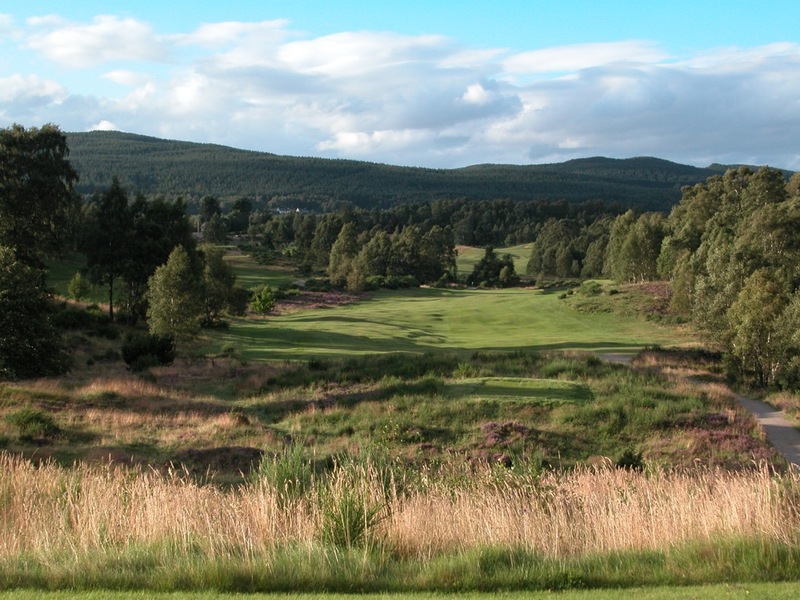 Often referred to as one of the most beautiful golf courses in the world, the Boat of Garten has much to offer for novice as well as professional golfers. 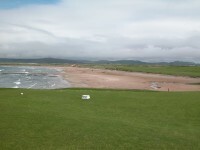 The Traigh Golf Course is an example of how beautiful Scottish links can actually be today. 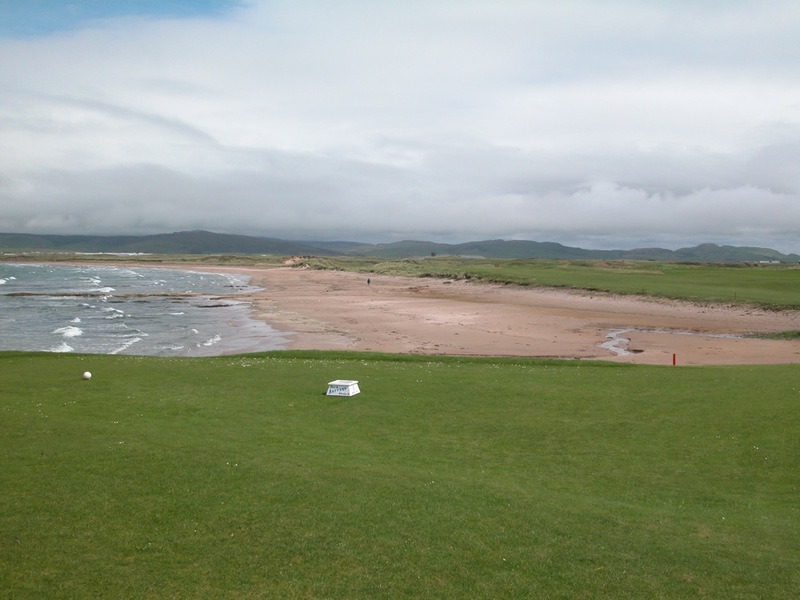 Most interesting of all is the fact that the Traigh Golf links are often combined with other sightseeing activities in the area. 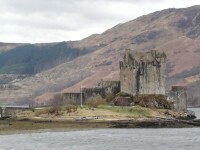 With the inspiring Eileen Donan’s Castle nearby, there is much to see and do throughout this amazing part of Scotland. 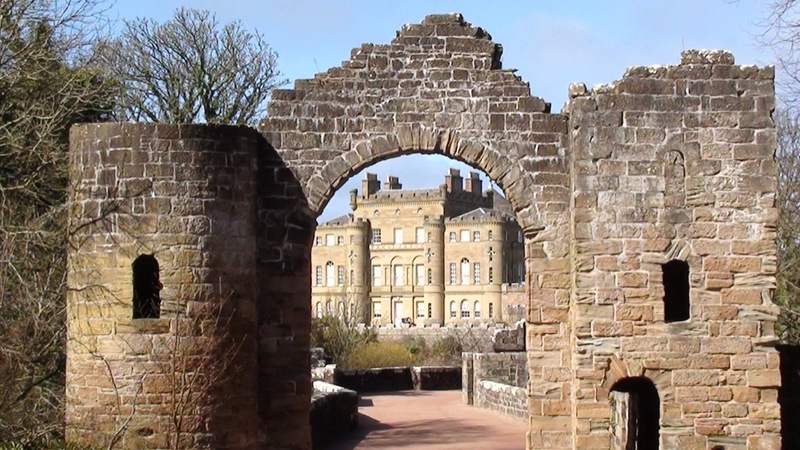 Not far from Inverness nestled in the Scottish Highlands is an amazing Scottish golf course known as the Castle Stuart Golf Club. Conveying a true sense and feel of old world Scottish golfing, this is a great destination for anyone enjoying a golfing tour of Scotland. 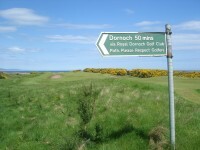 The Brora Golf Club in Brora is perhaps one of the most famous golf clubs in all of the Scottish Highlands. 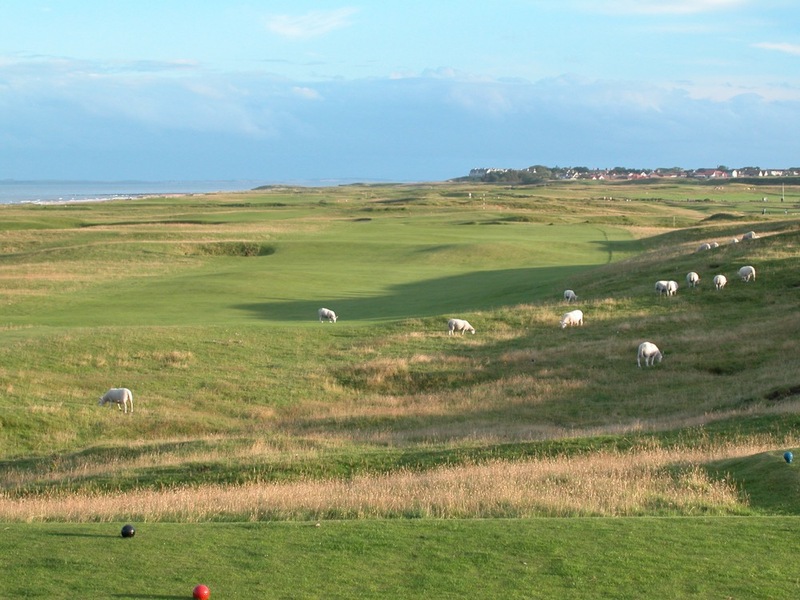 With sheep roaming freely this can easily be considered one of the truest definitions of a genuine Scottish golf course. 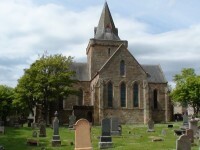 Golspie Scotland is amazing and beautiful just like many other parts of this delightful region of the world. 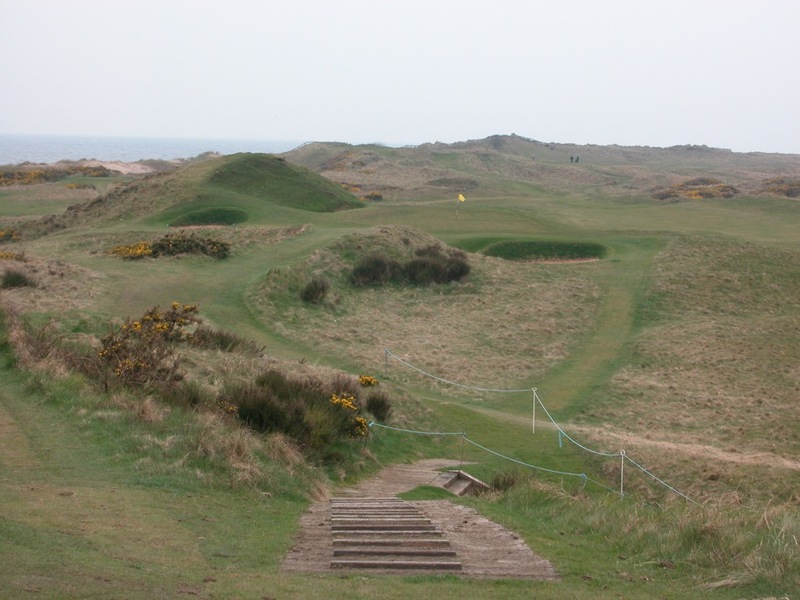 The Golspie Golf Club is a golf course in Scotland that has many appealing attributes worth considering. 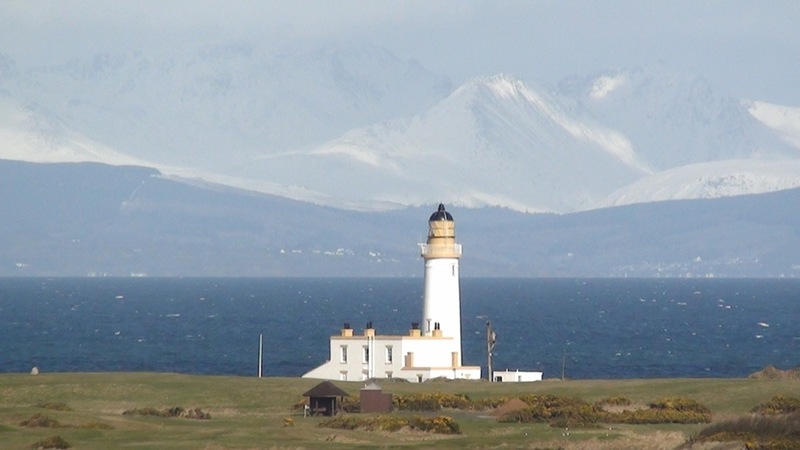 Very close to Inverness in the Scottish Highlands is an amazing Scottish golf course known as the Fortrose and Rosemarkie Golf Club. 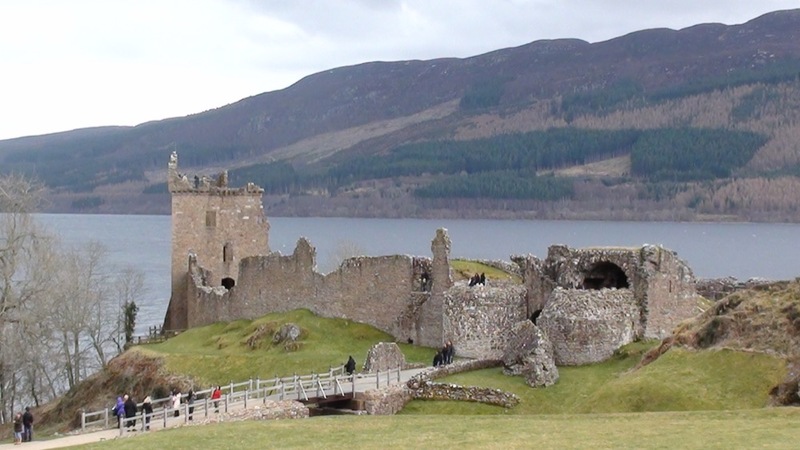 Like many of the other golf courses throughout Scotland this one is no different in that it offers incredible beauty and natural splendor for those who enjoy a good game of golf. 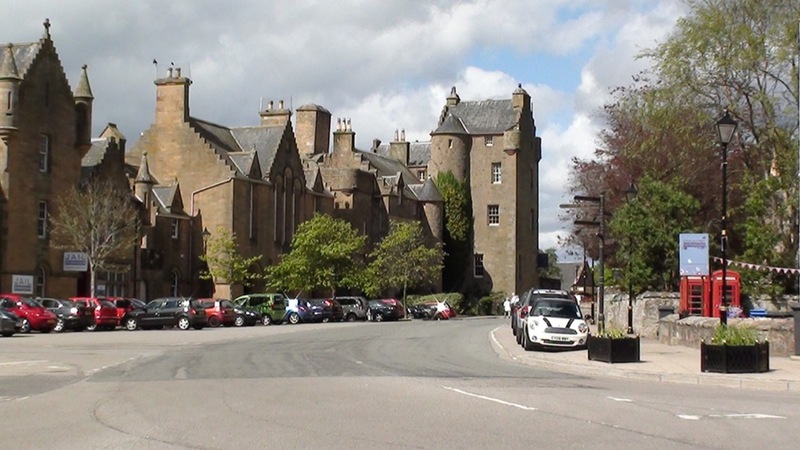 In tribute to its namesake, the Carnegie Club at Skibo Castle in Scotland, it is also the historic home of Andrew Carnegie. 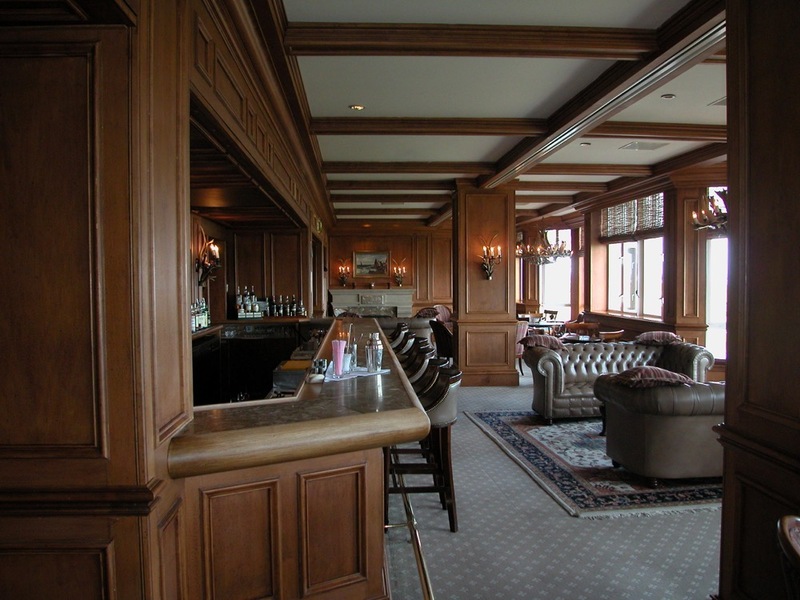 Reminiscent of a time gone by, the Carnegie Club at Skibo Castle in Scotland offers some of the best golfing found anywhere in the Scottish Highlands.